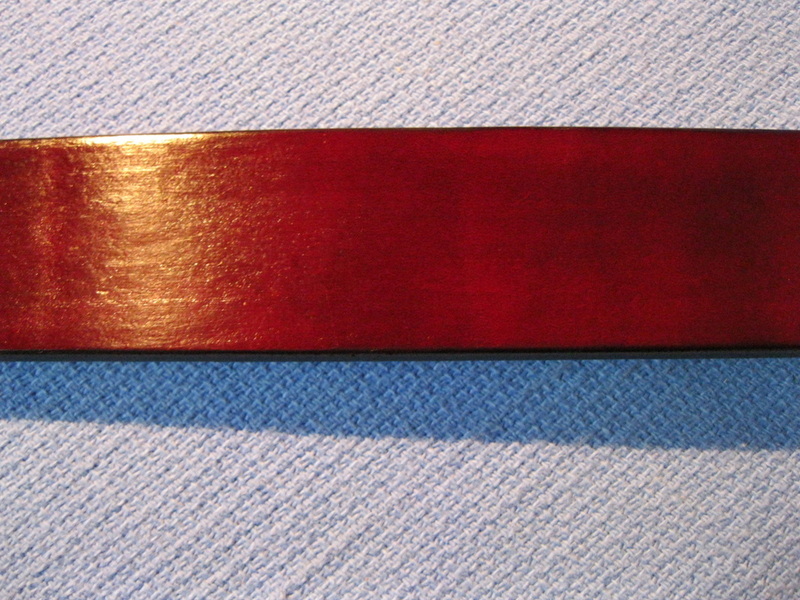 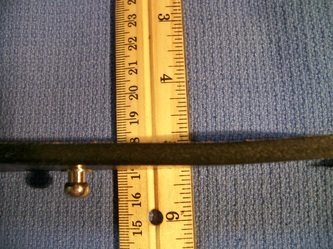 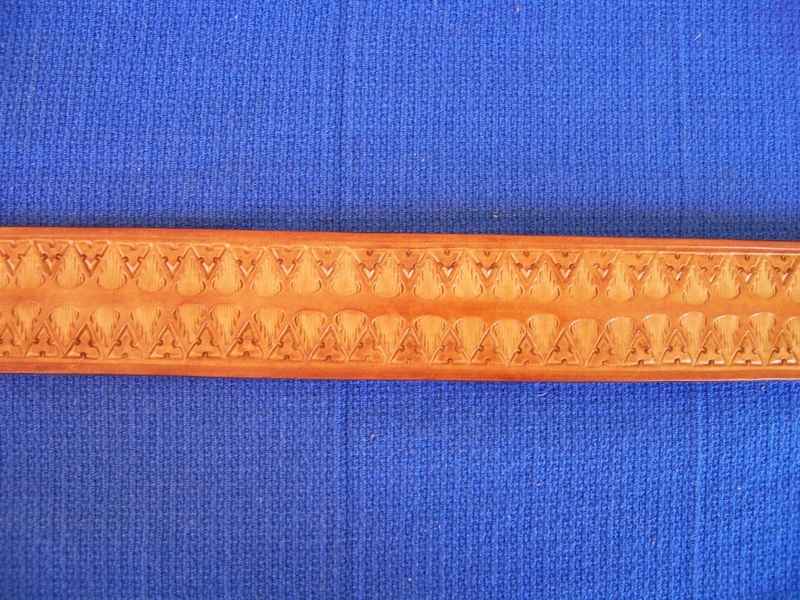 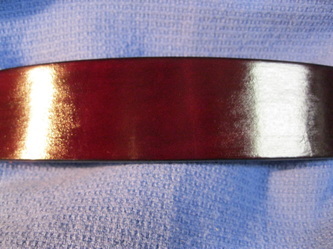 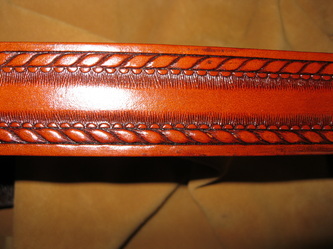 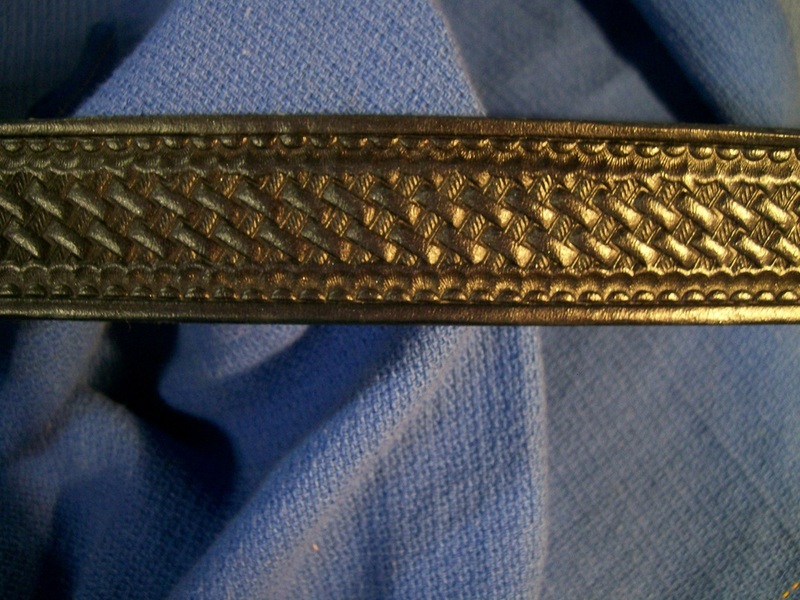 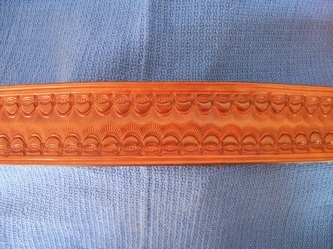 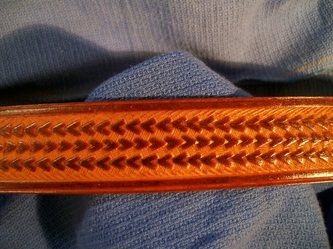 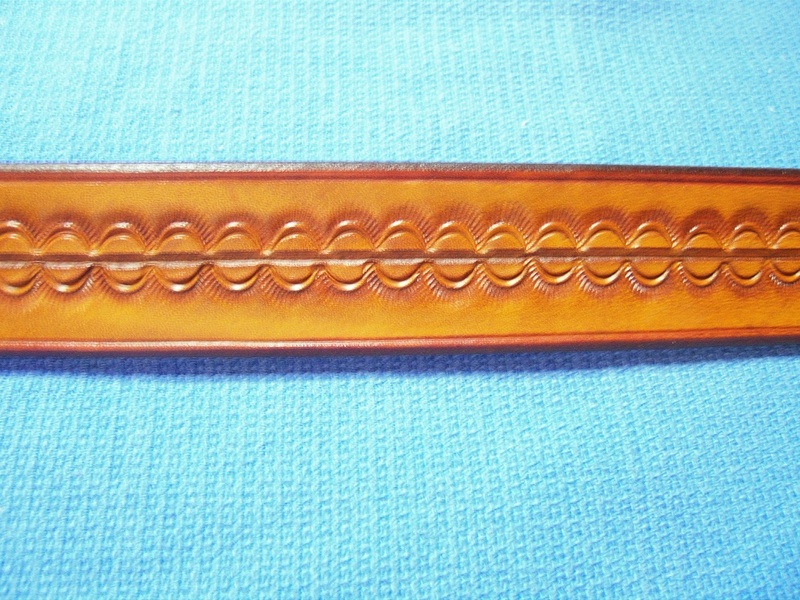 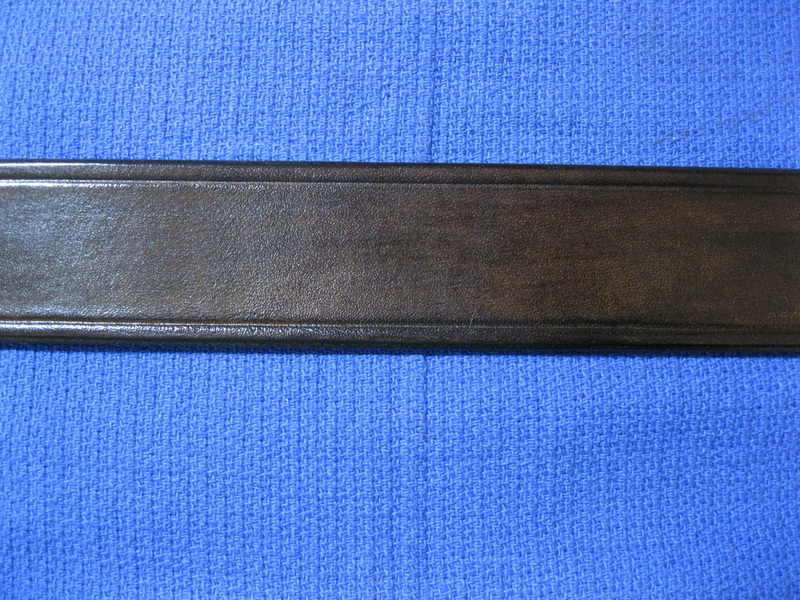 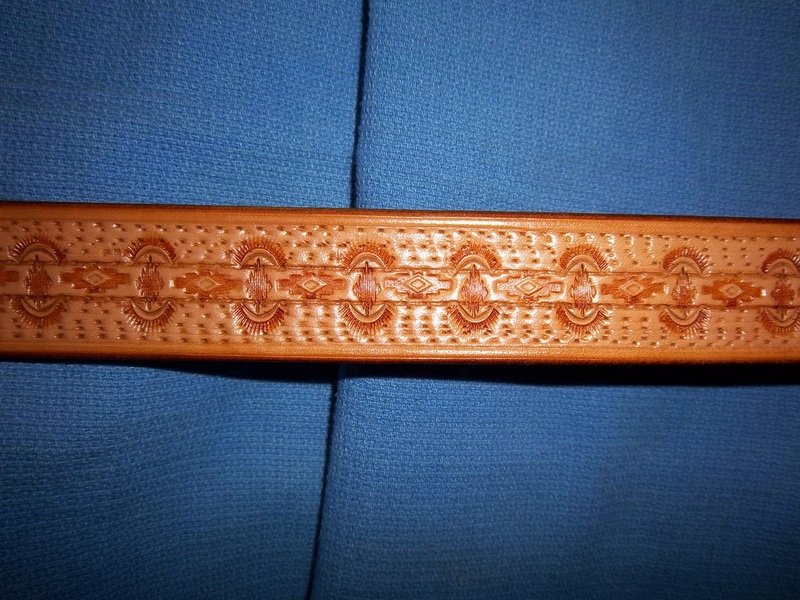 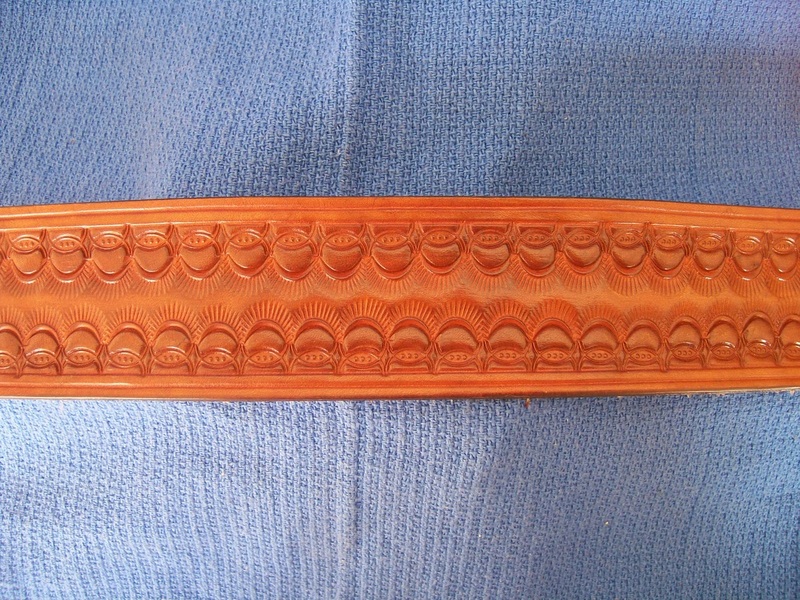 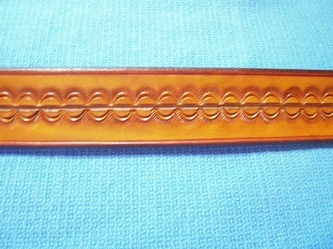 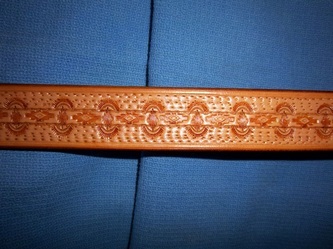 From tip of buckle to center hole in tip end is 42"
Tooling/ bordering on both sides is $7.50 per row. 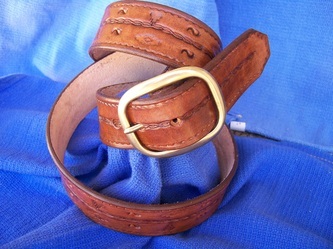 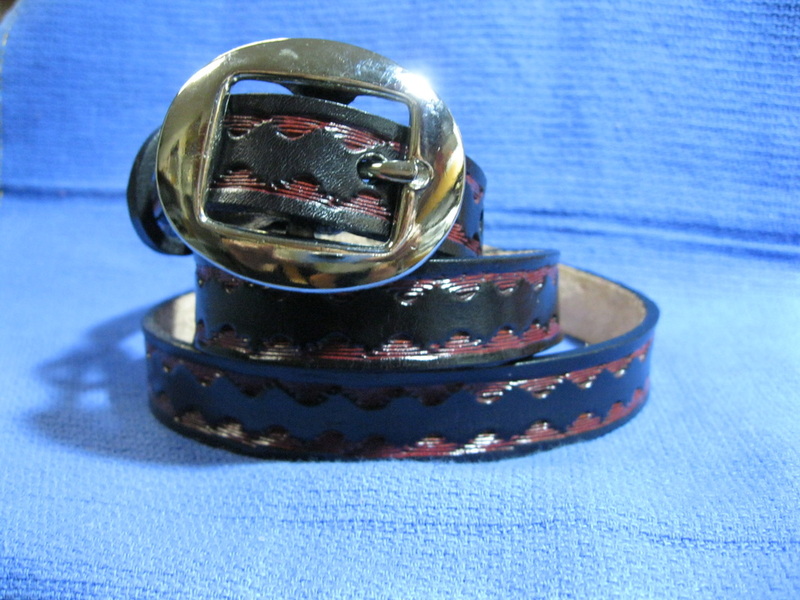 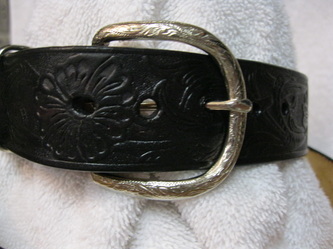 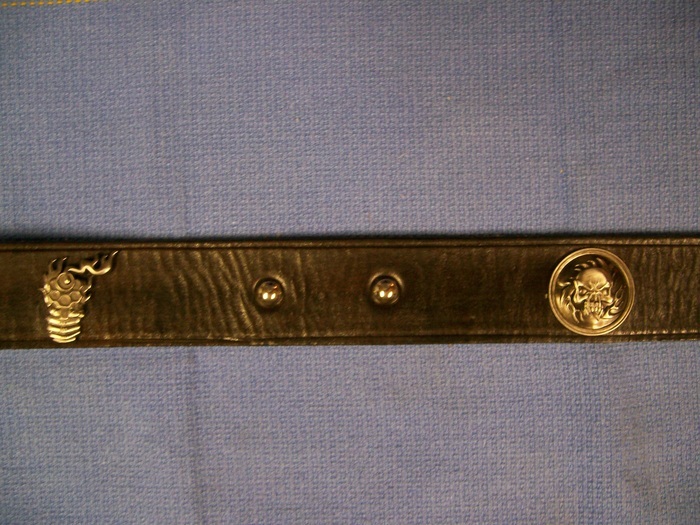 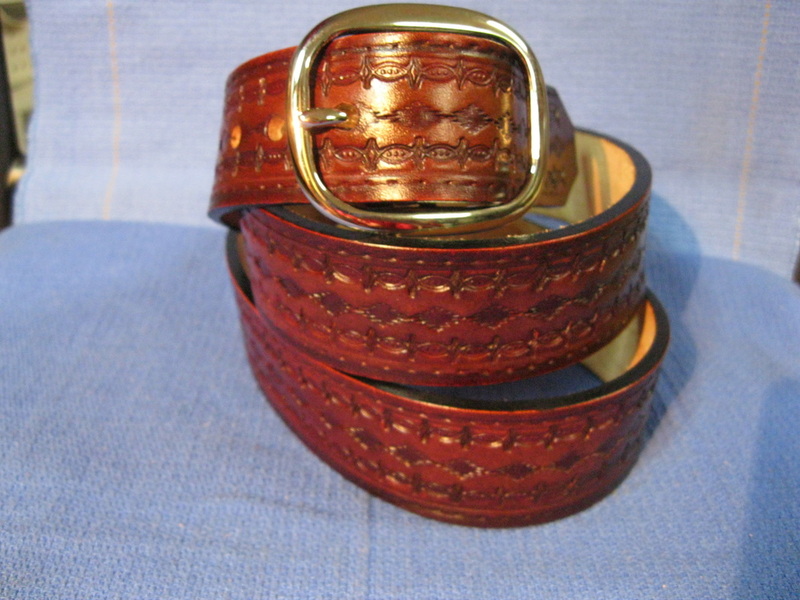 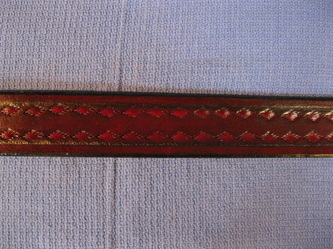 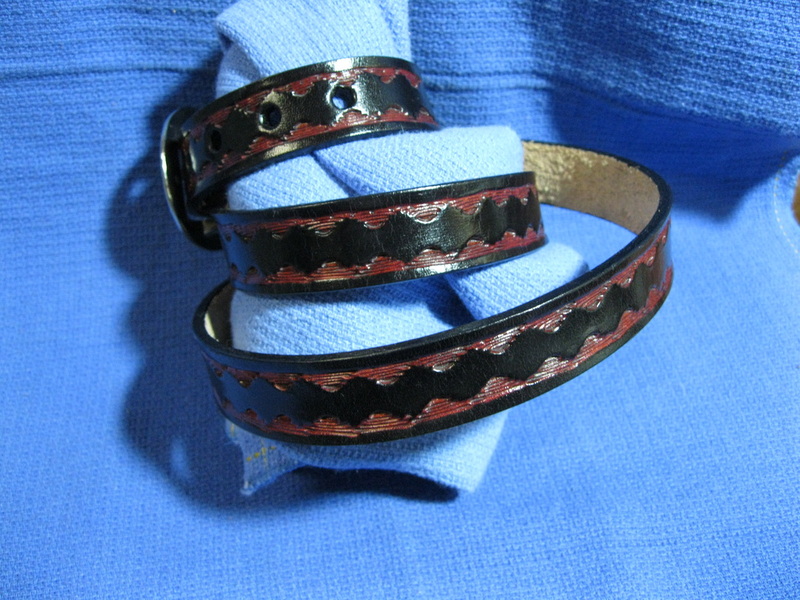 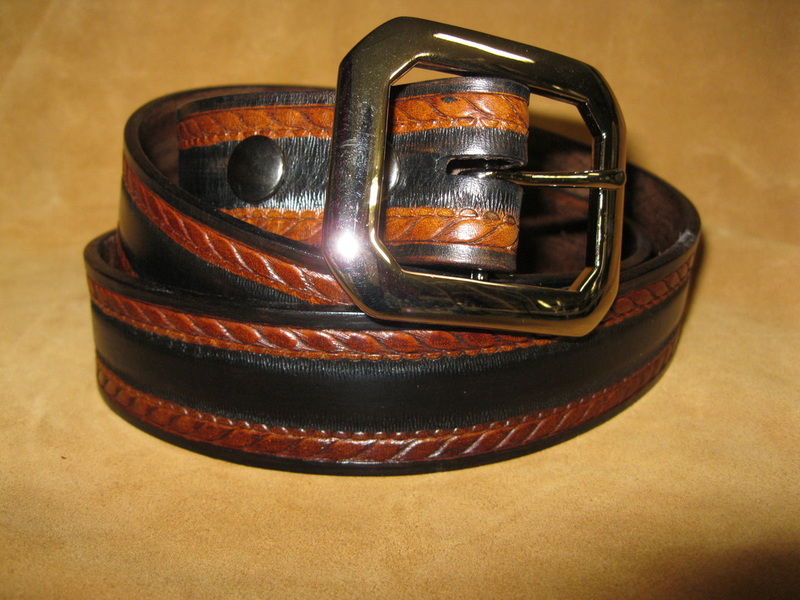 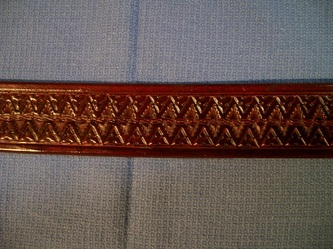 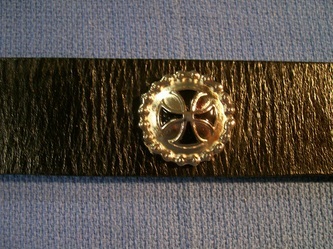 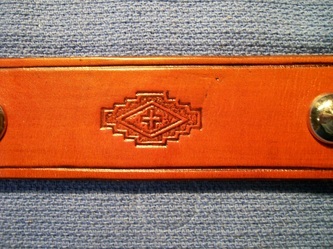 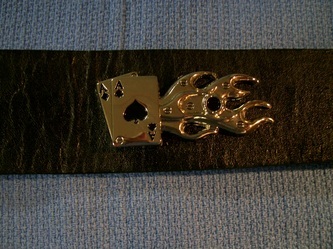 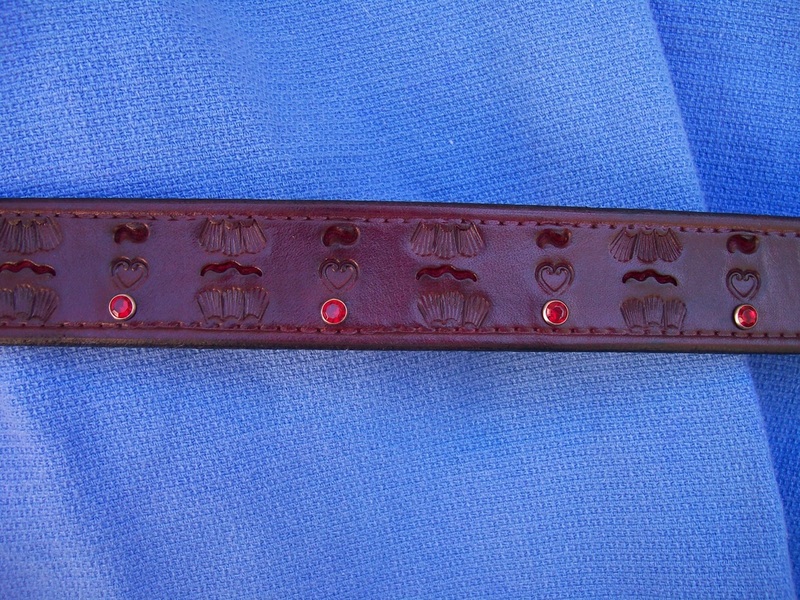 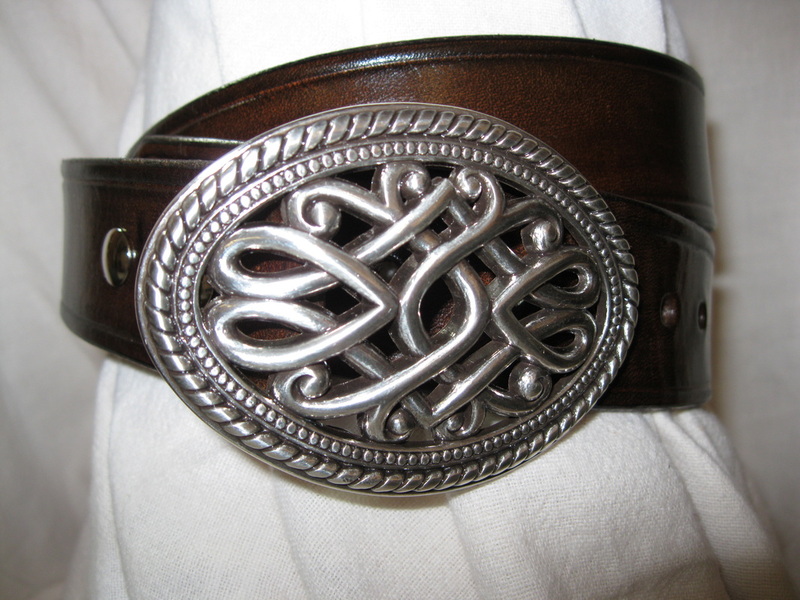 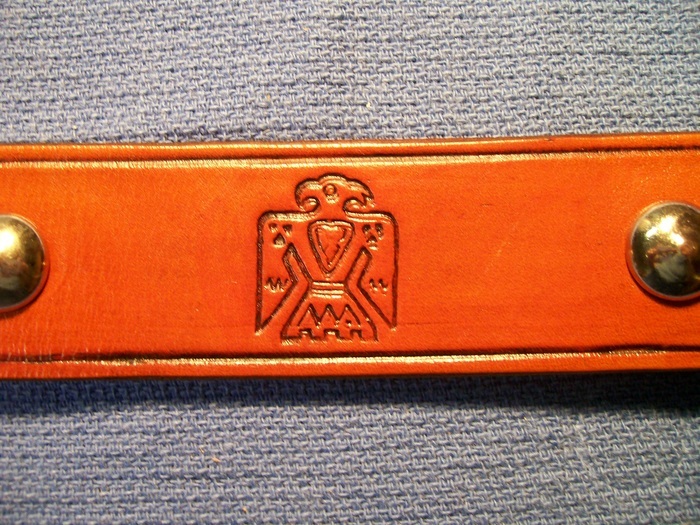 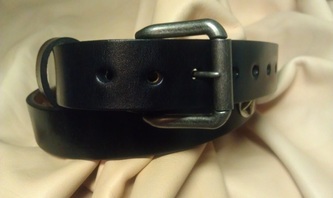 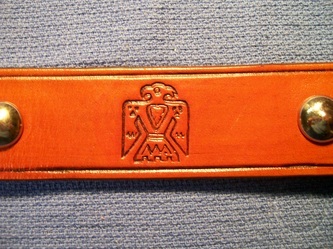 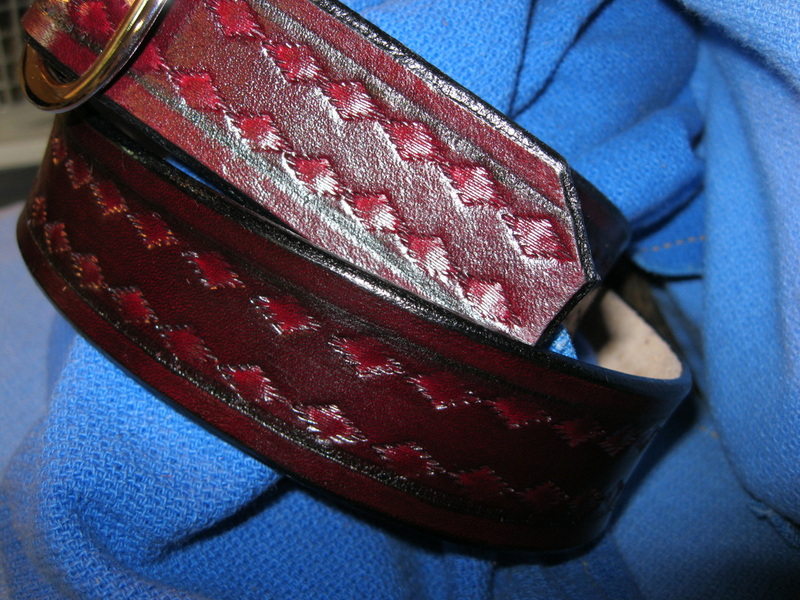 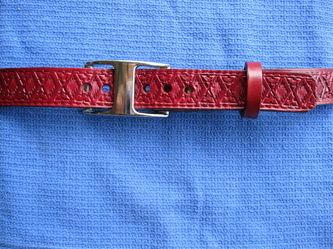 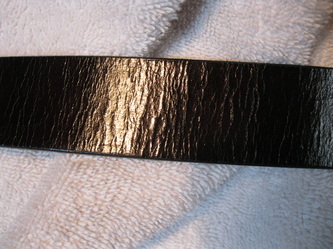 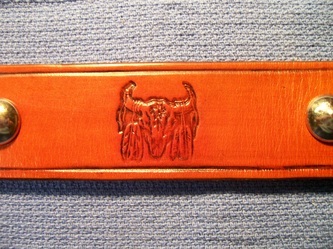 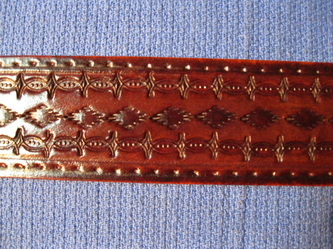 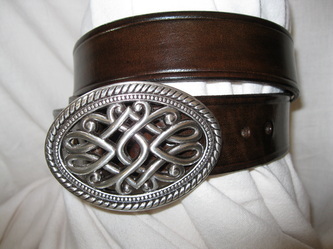 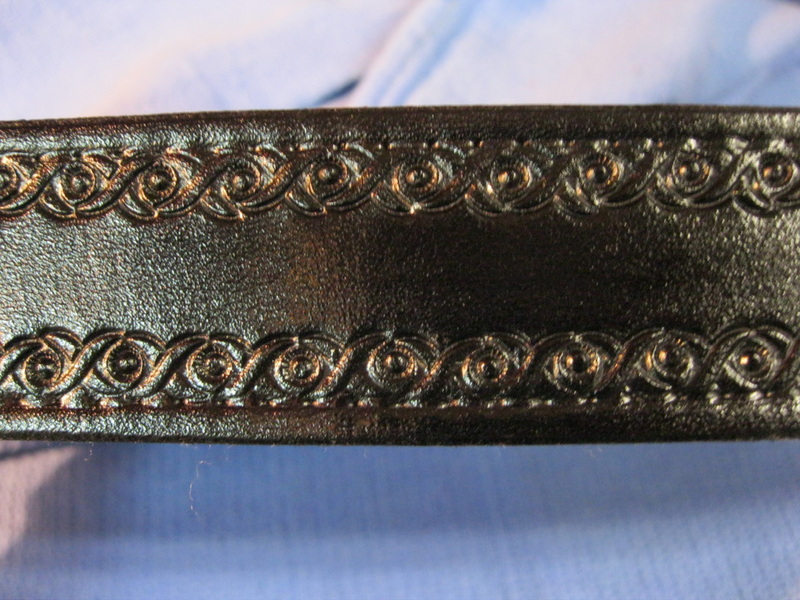 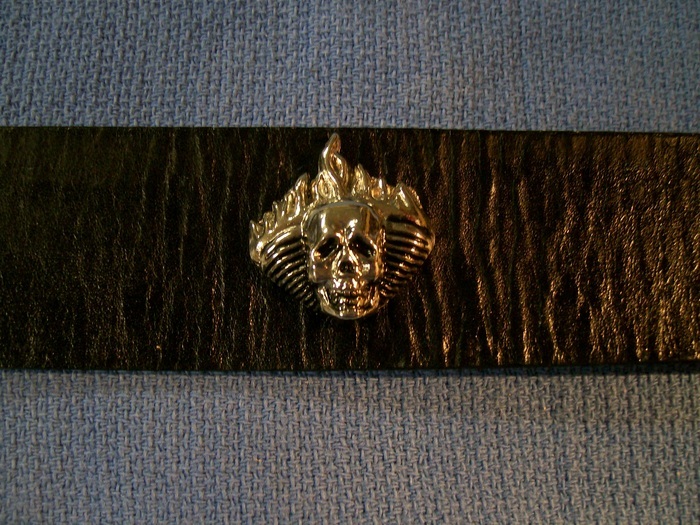 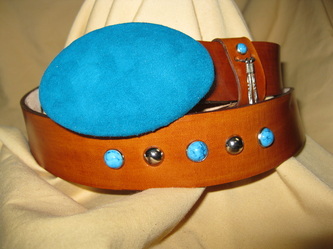 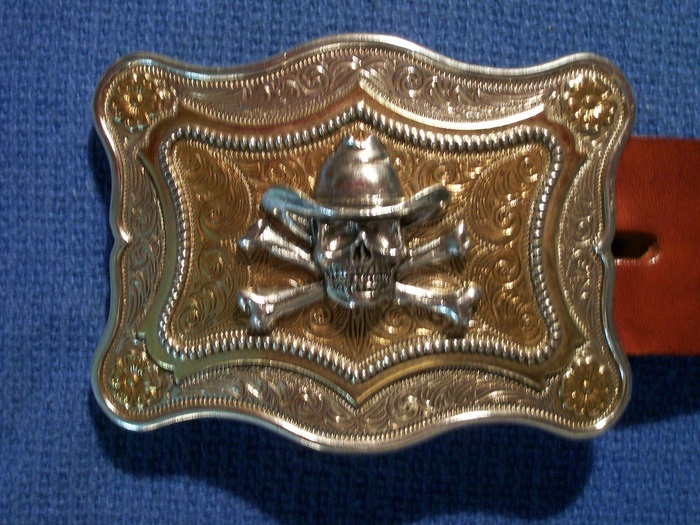 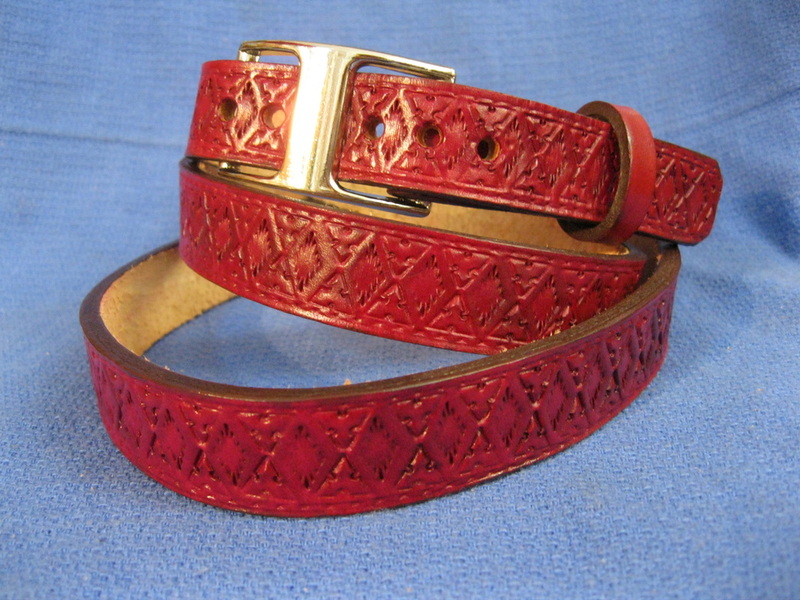 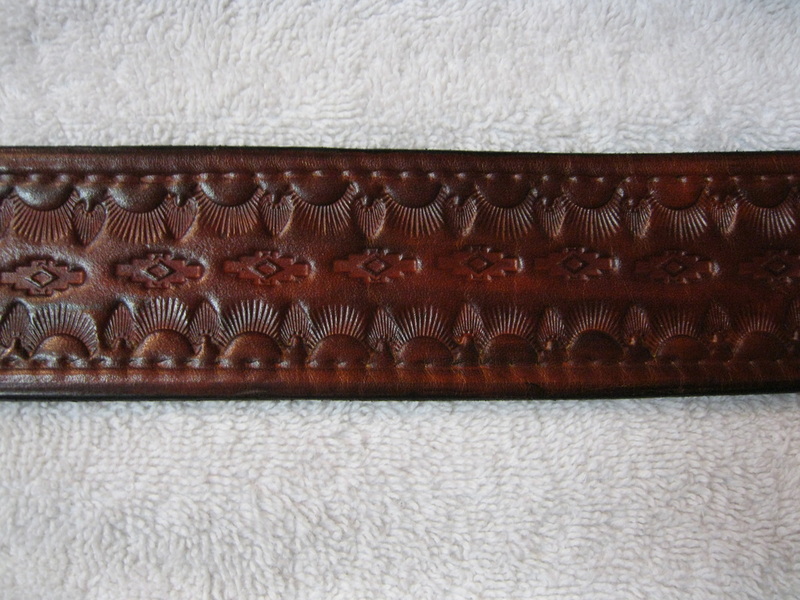 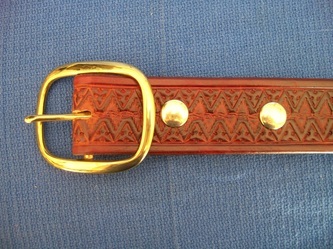 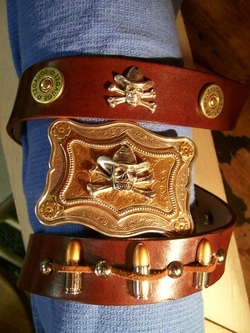 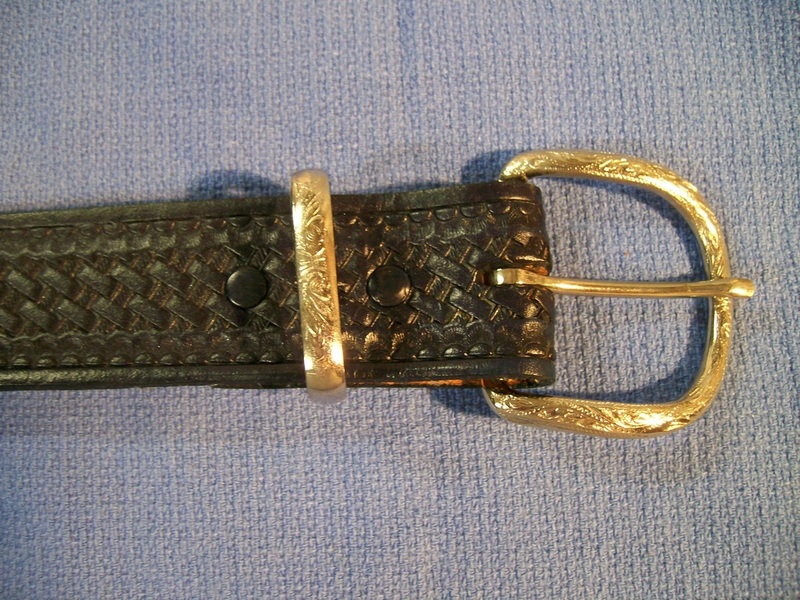 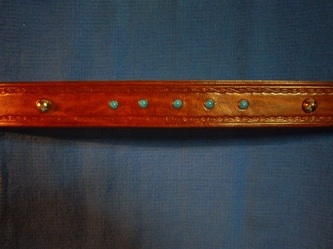 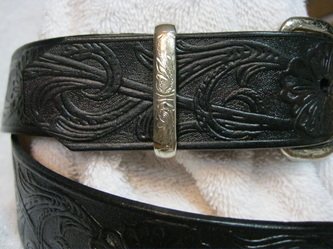 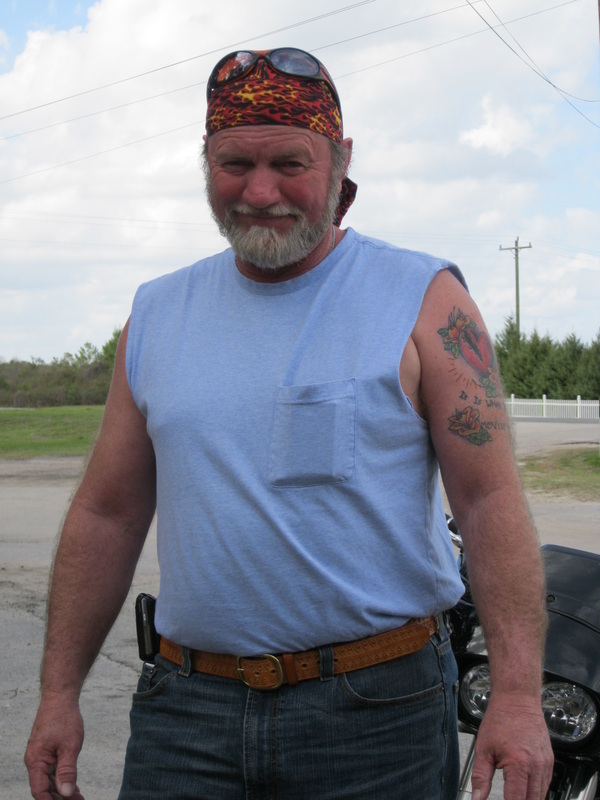 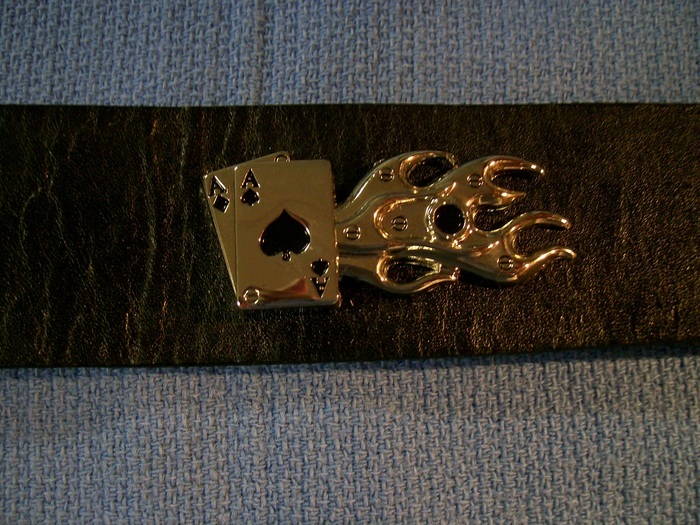 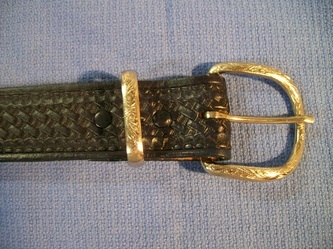 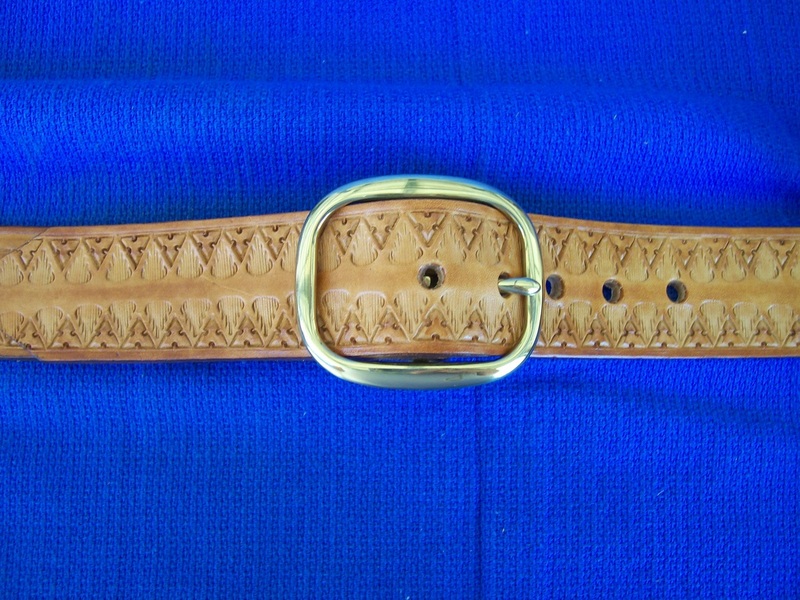 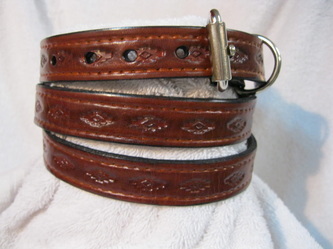 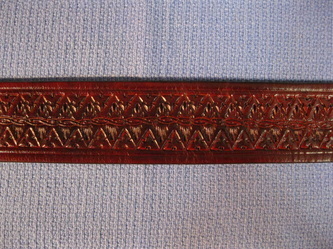 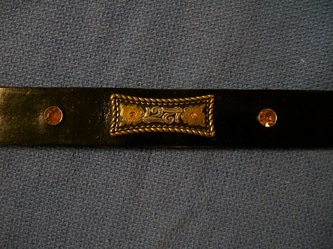 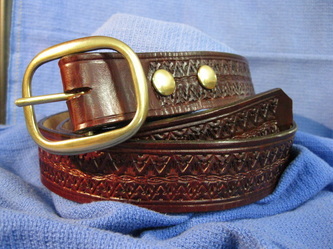 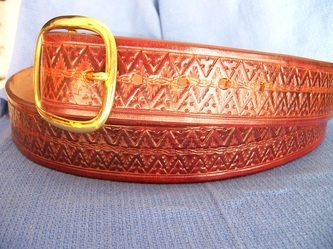 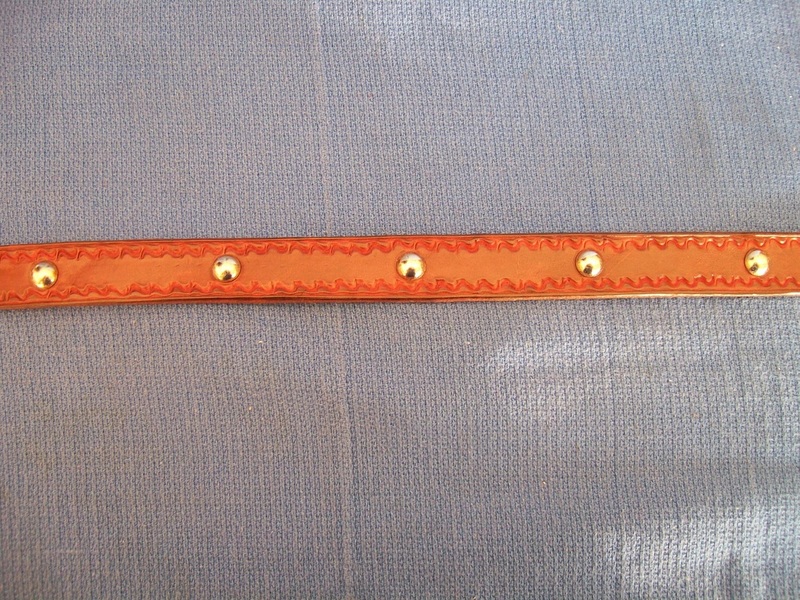 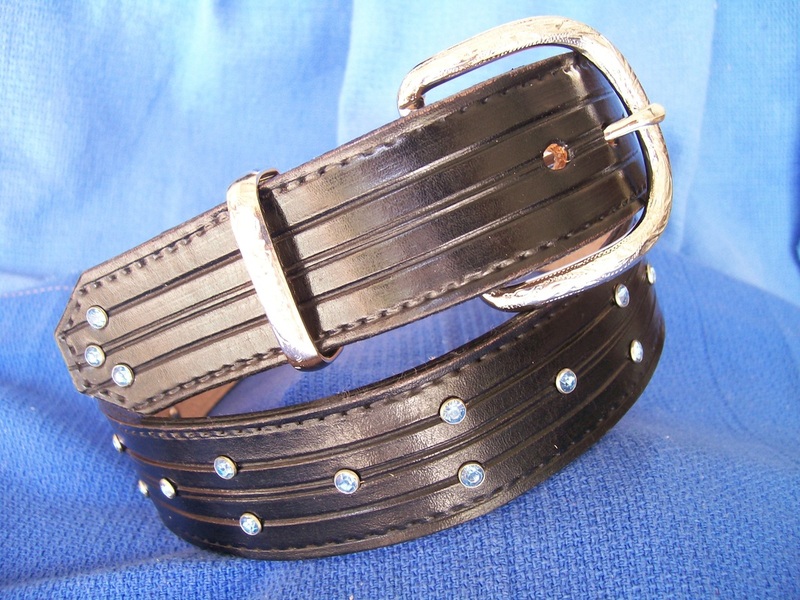 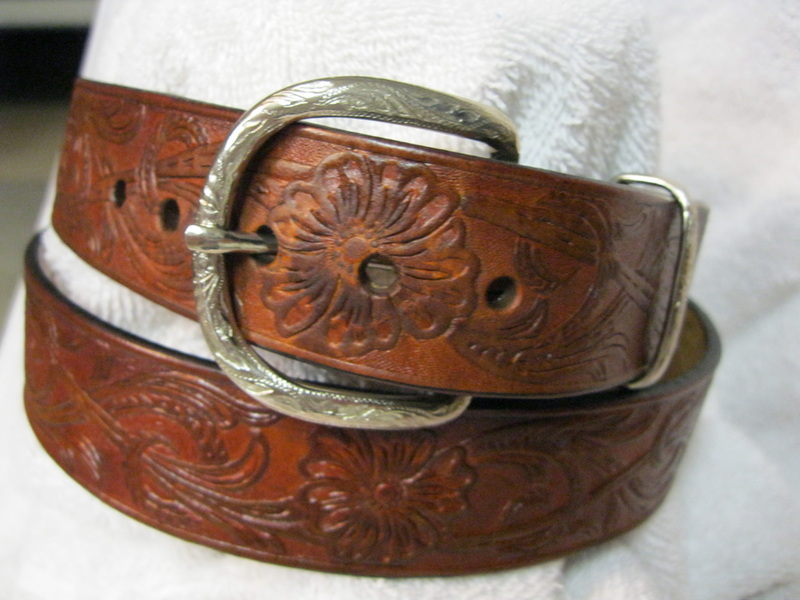 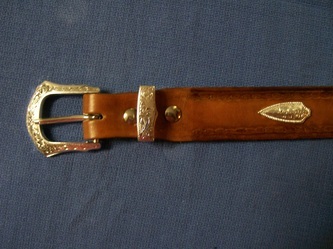 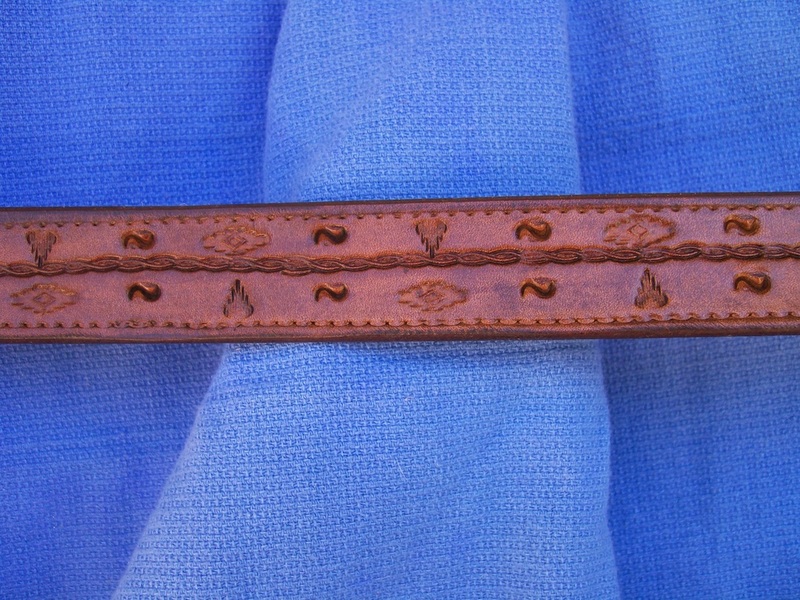 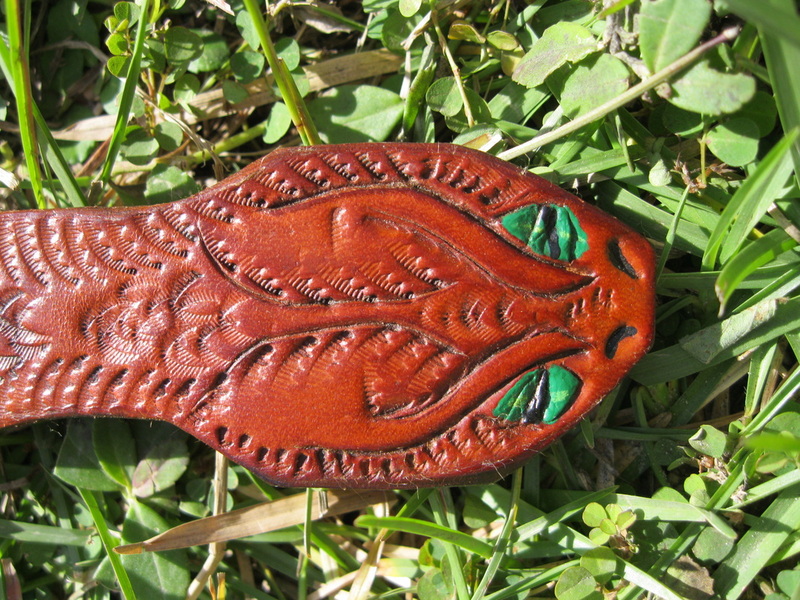 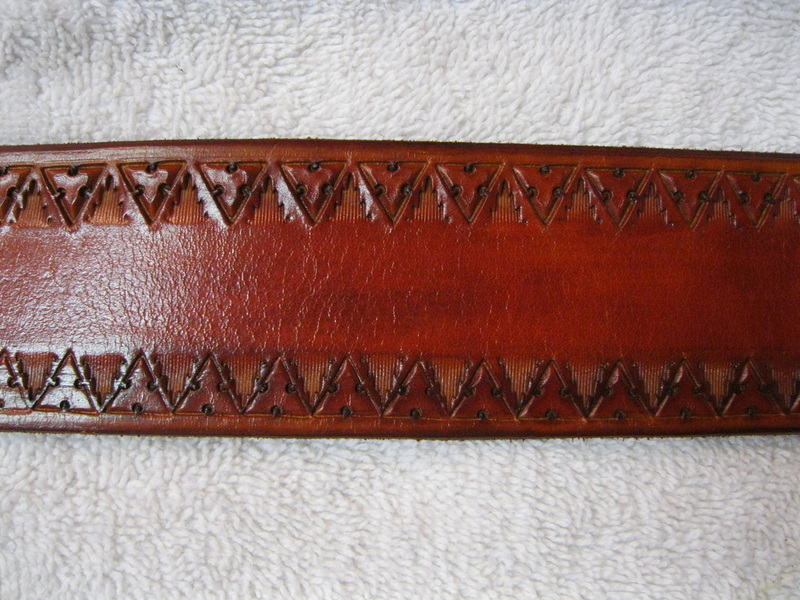 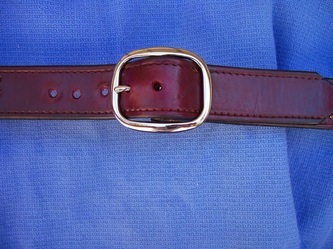 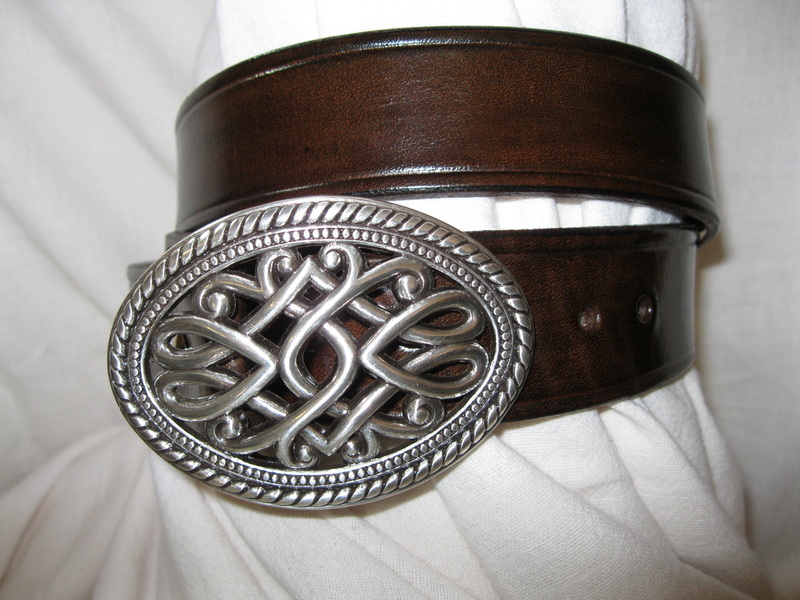 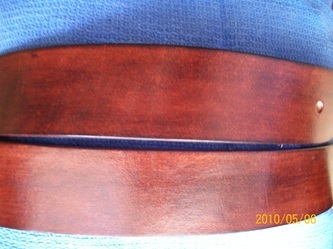 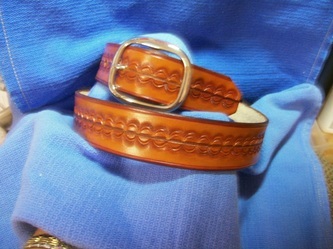 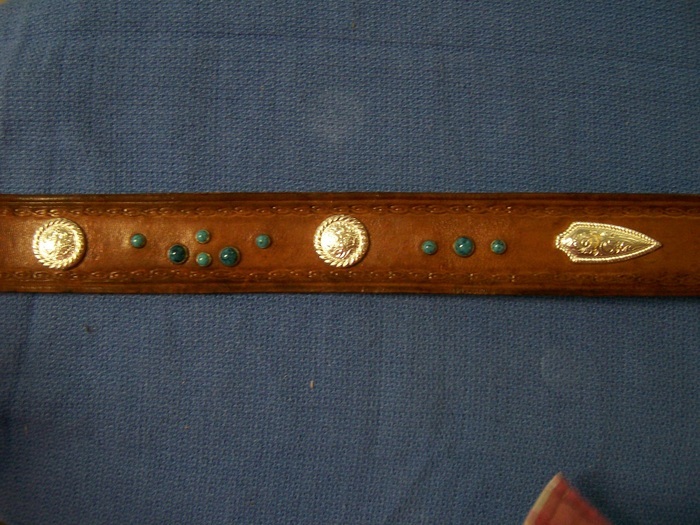 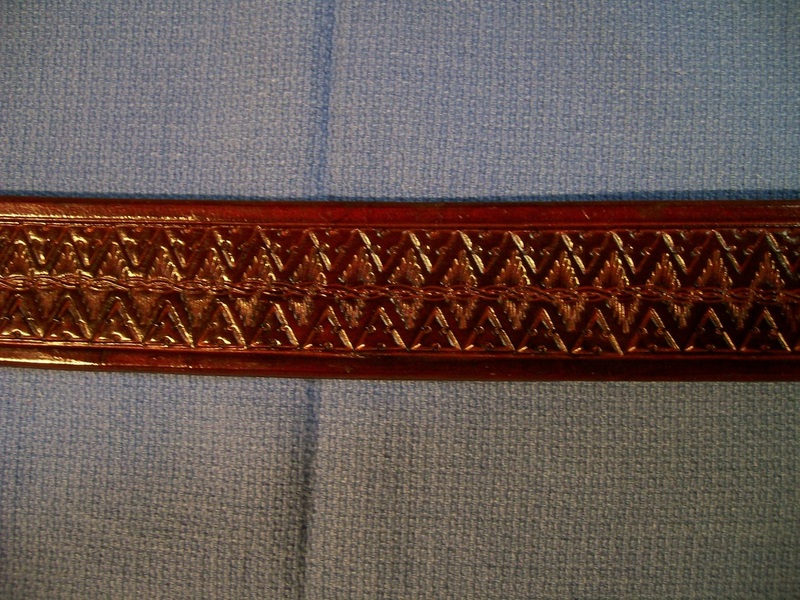 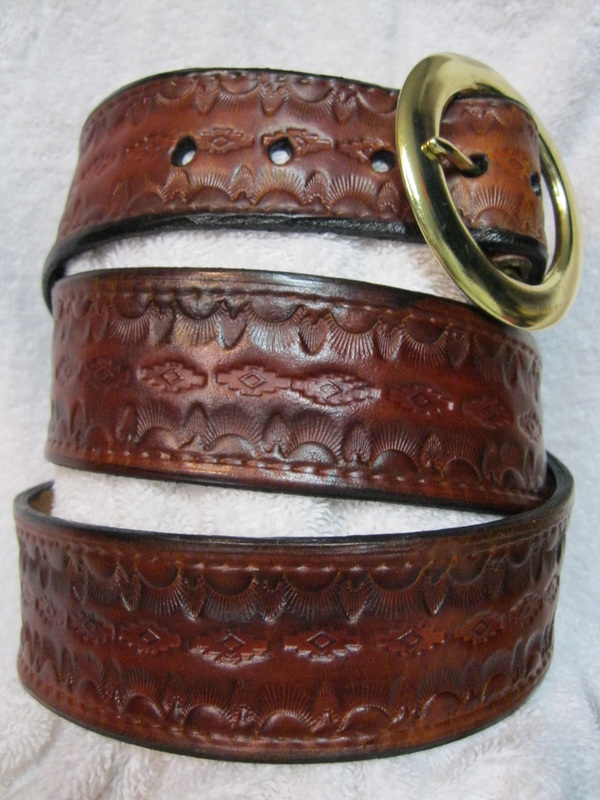 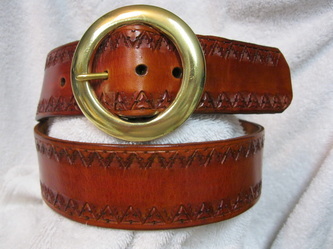 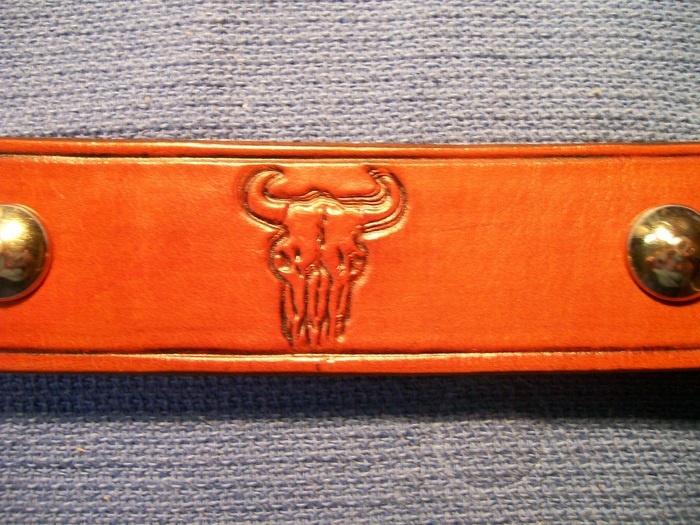 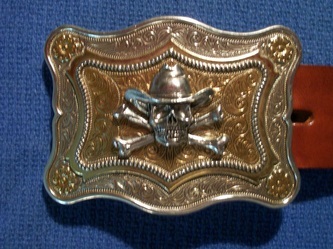 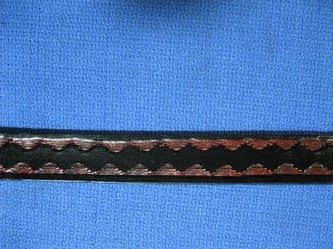 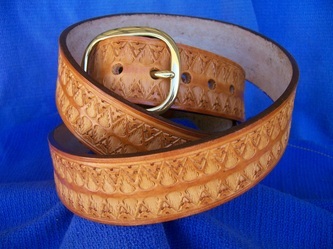 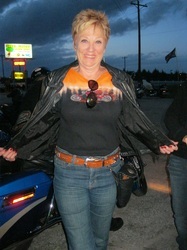 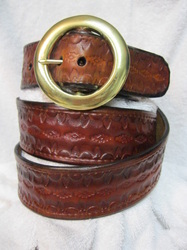 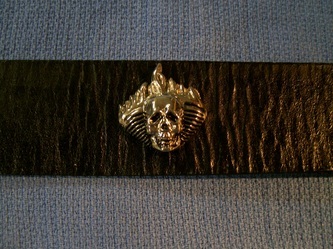 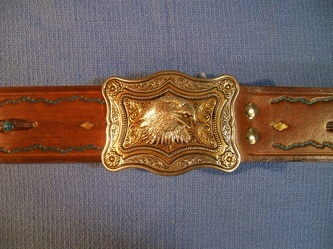 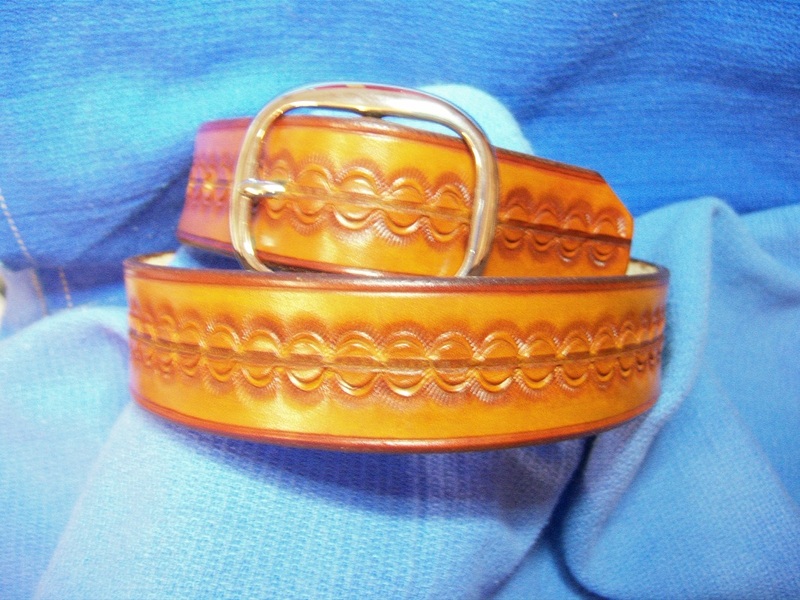 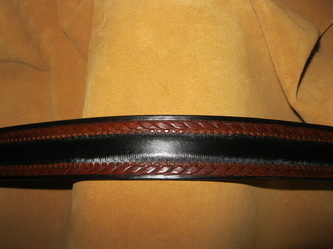 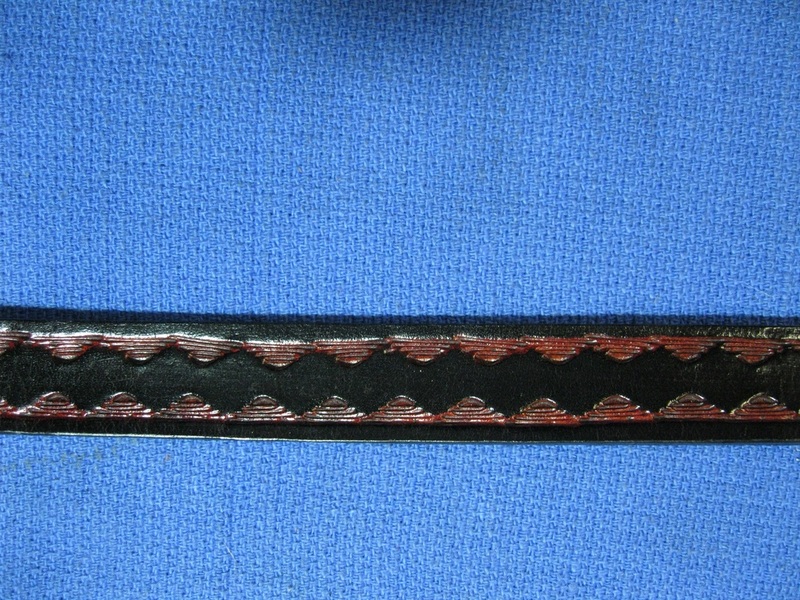 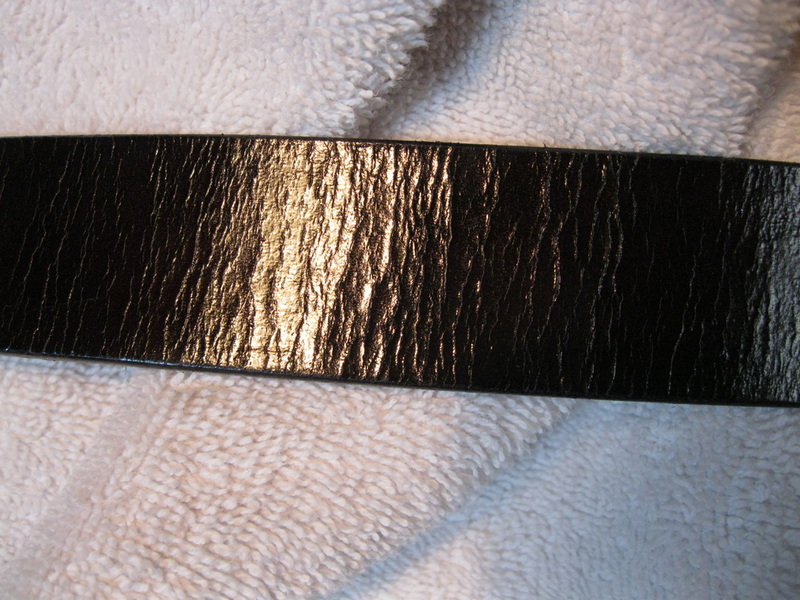 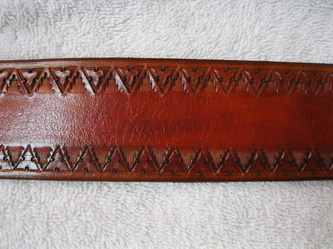 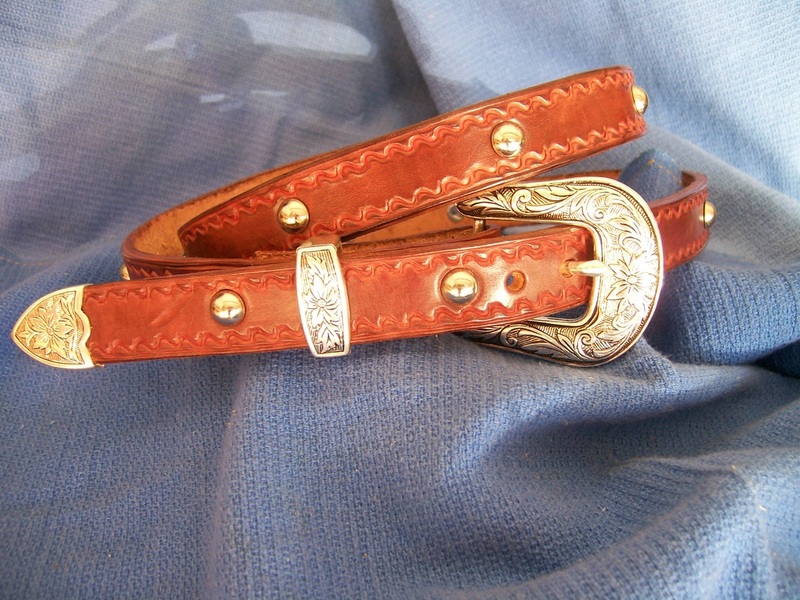 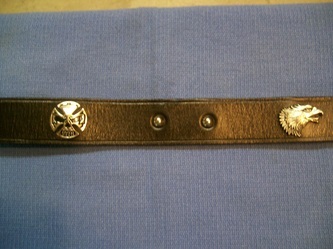 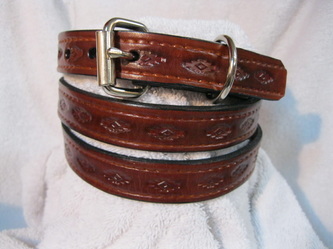 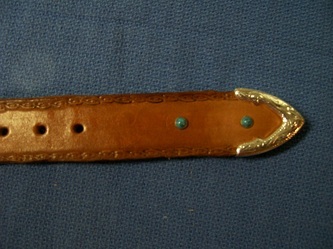 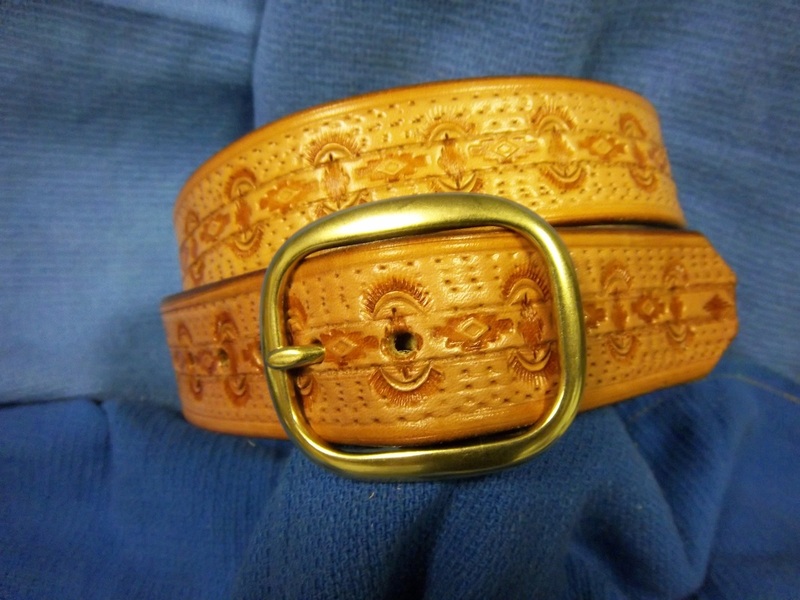 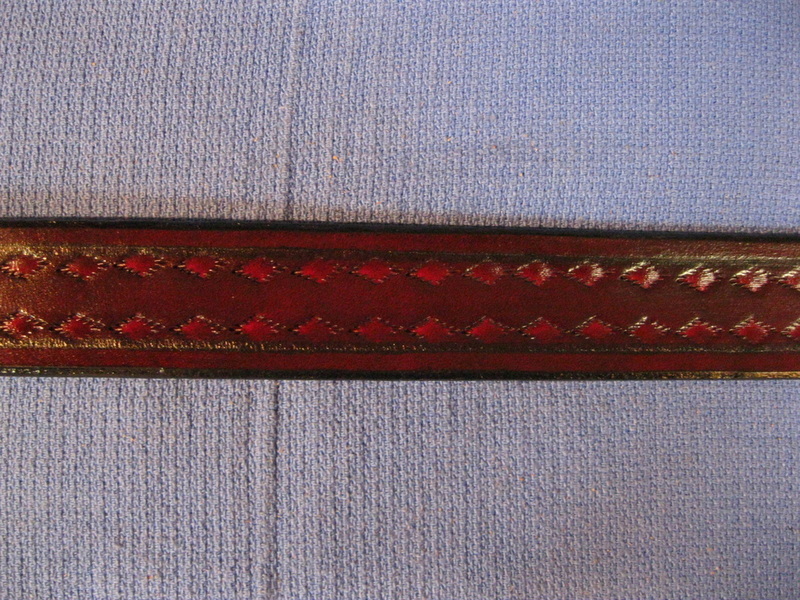 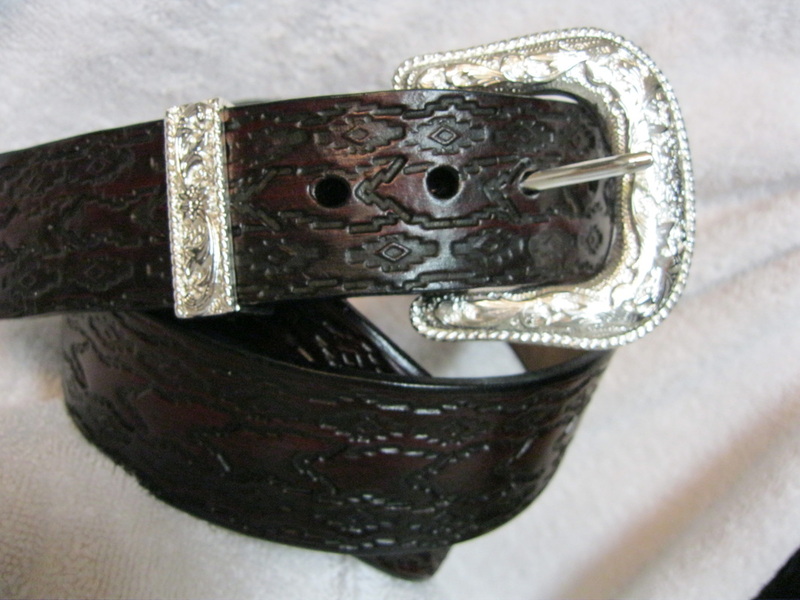 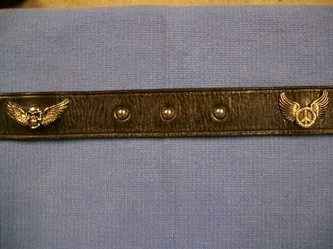 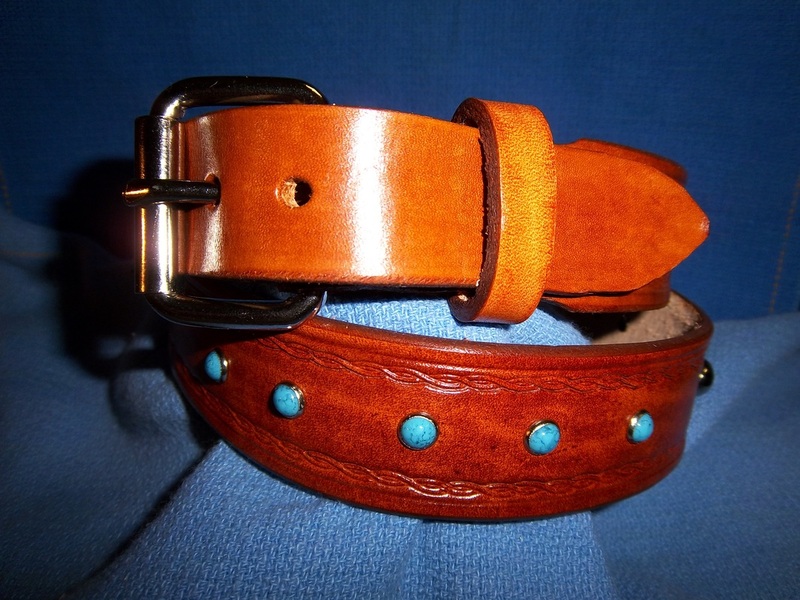 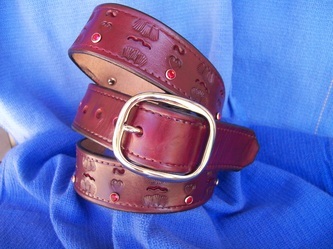 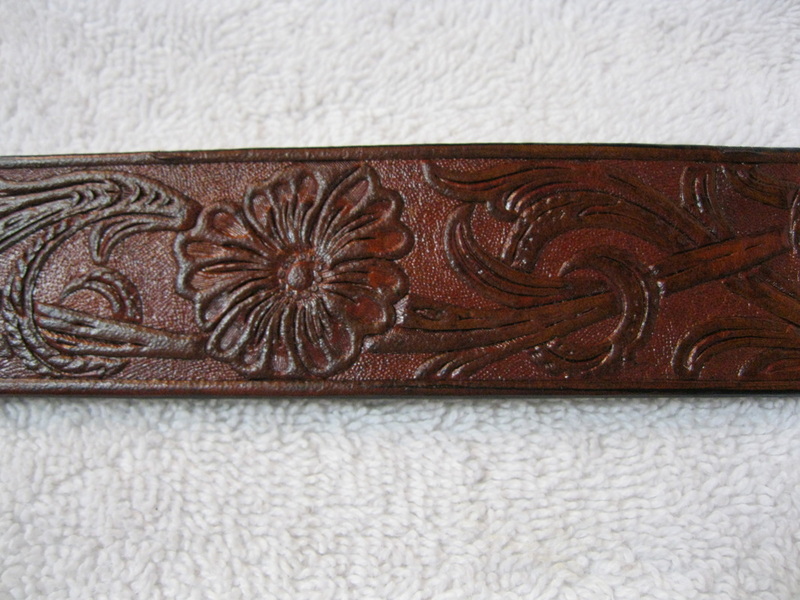 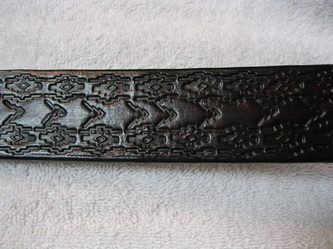 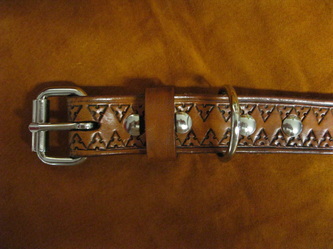 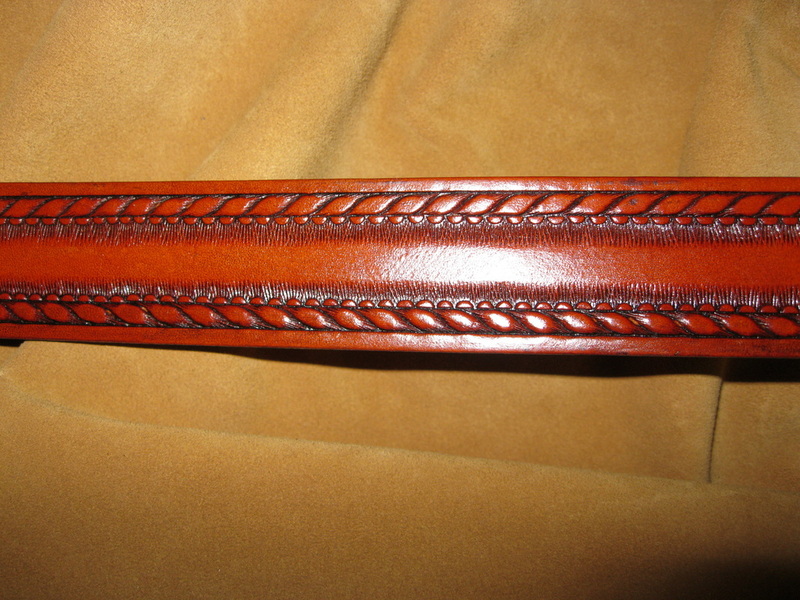 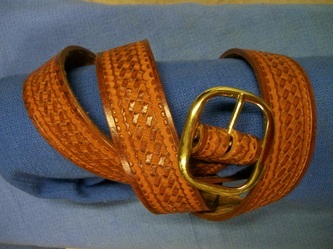 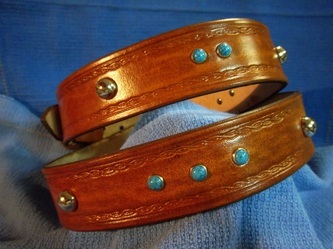 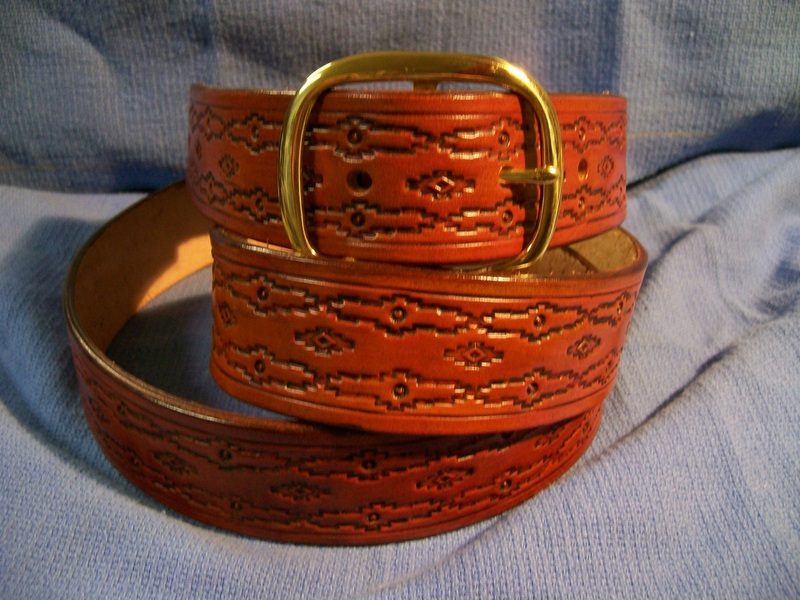 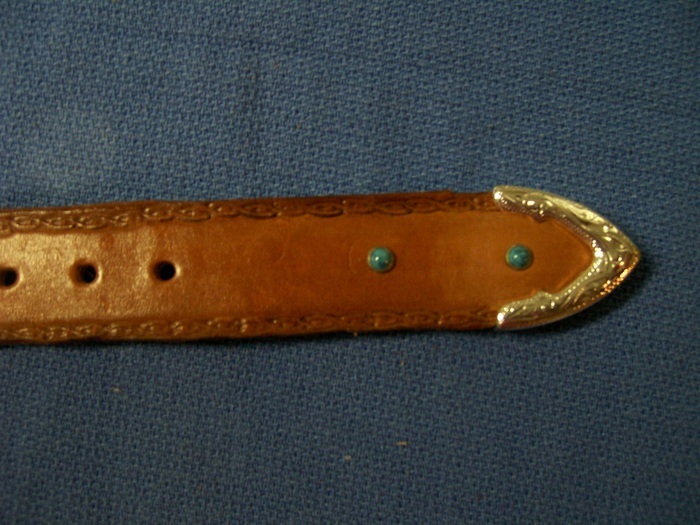 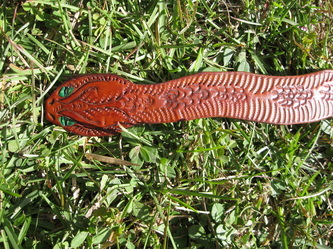 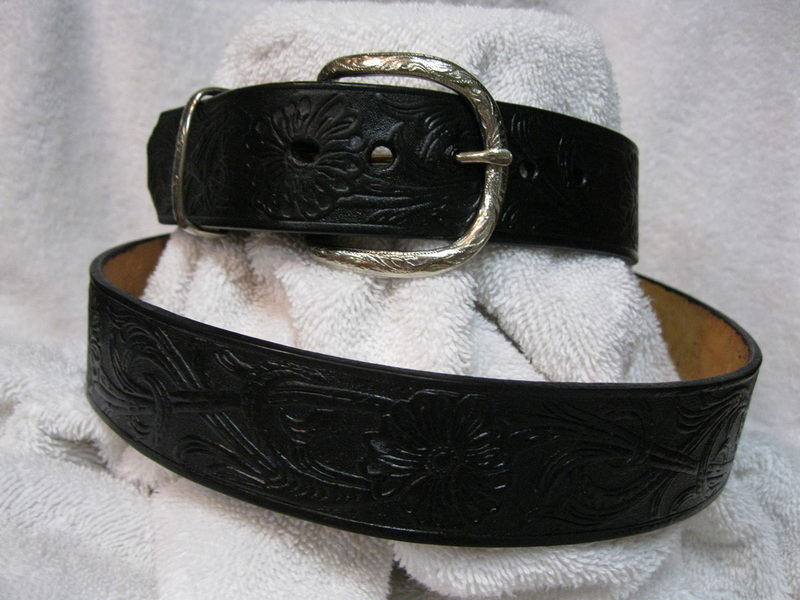 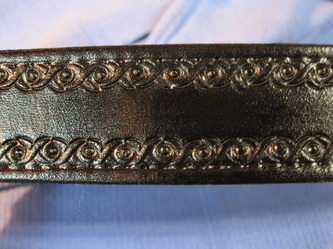 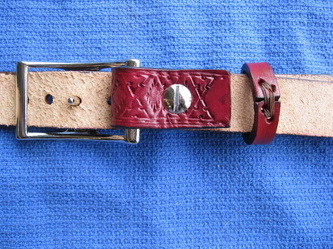 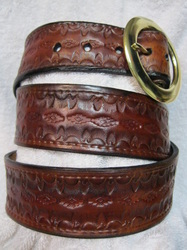 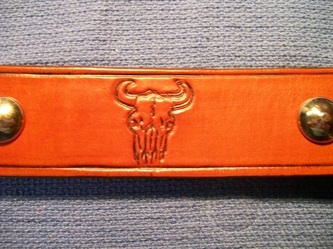 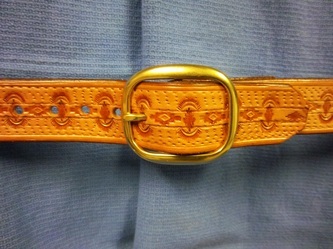 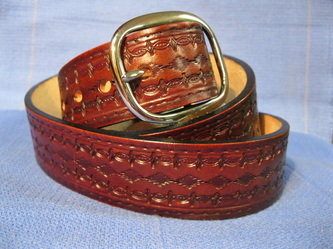 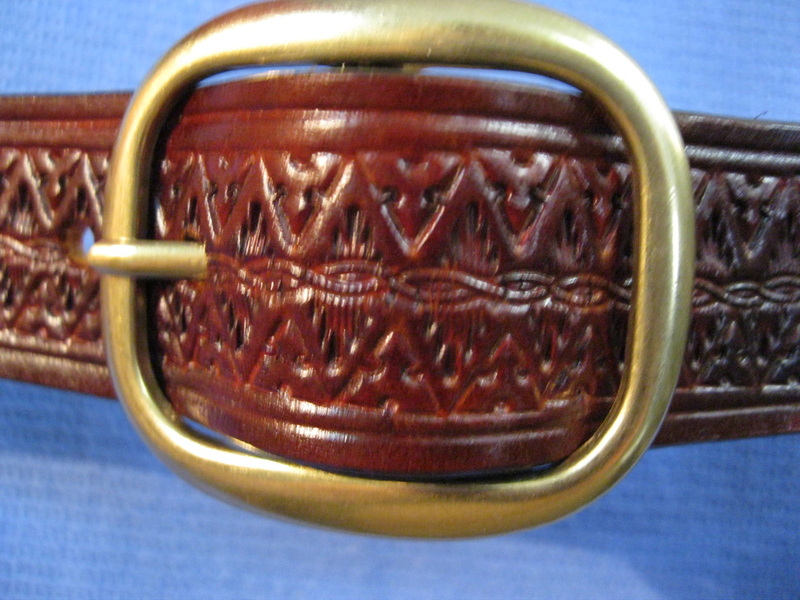 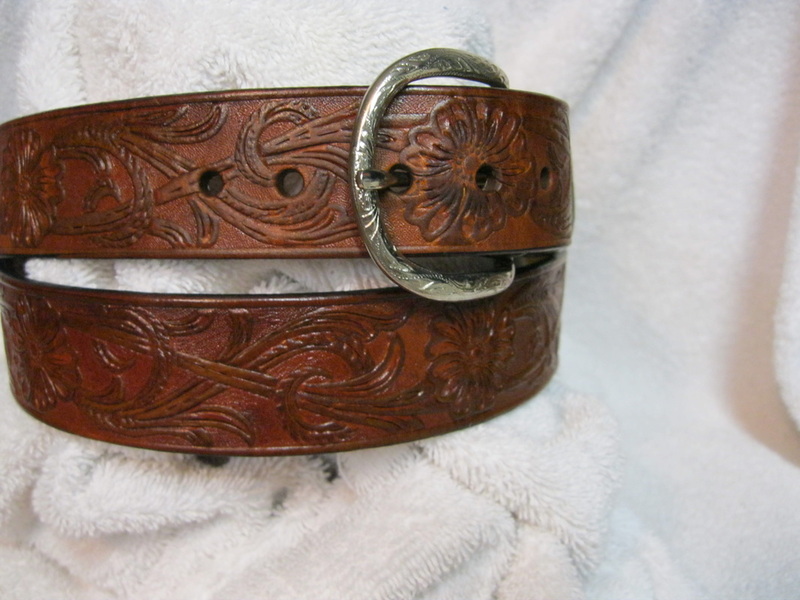 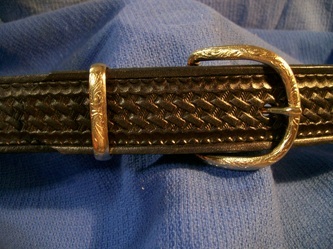 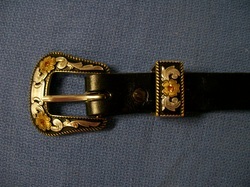 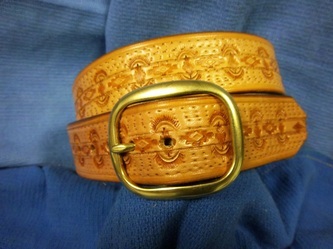 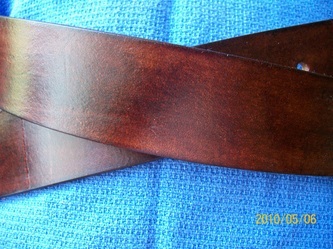 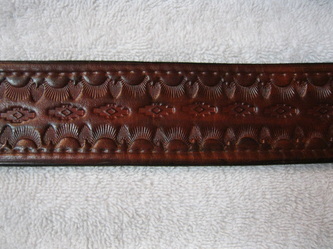 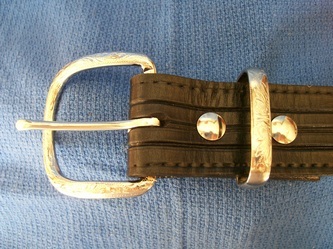 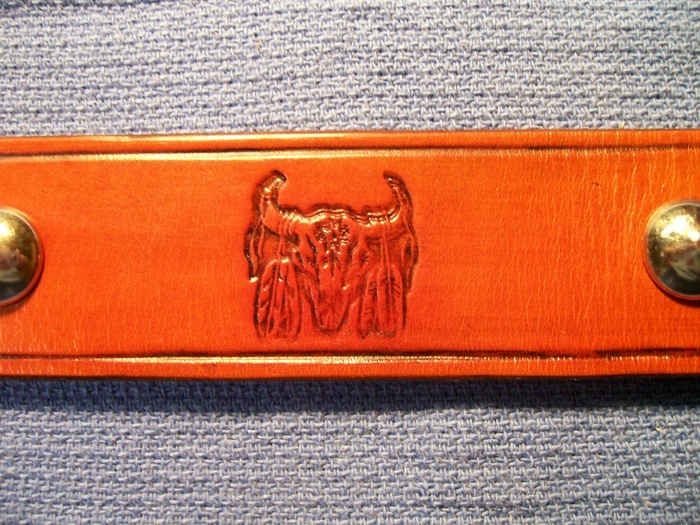 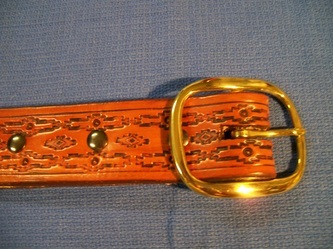 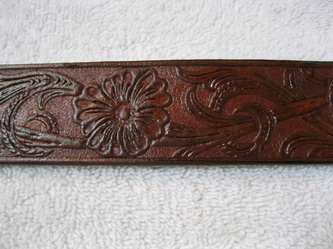 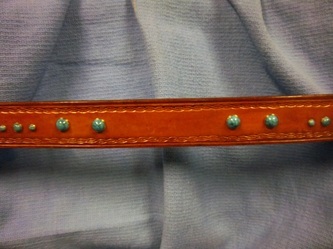 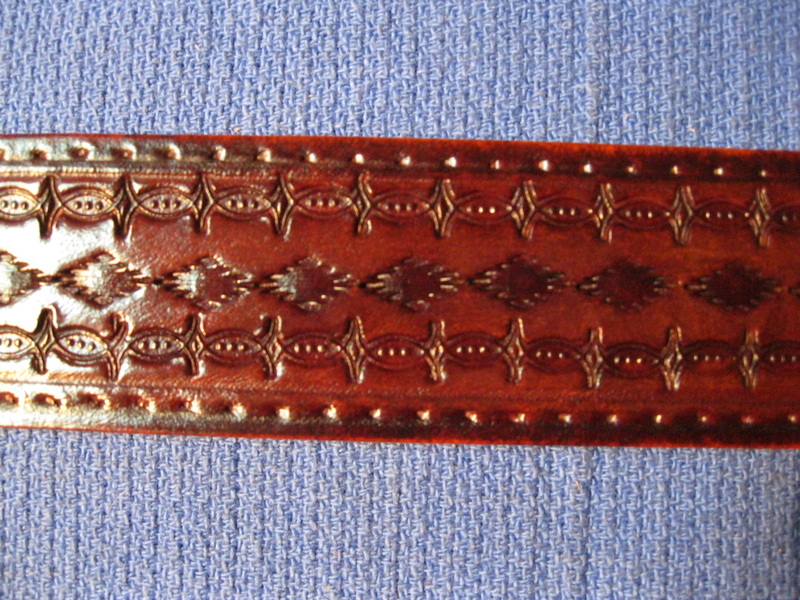 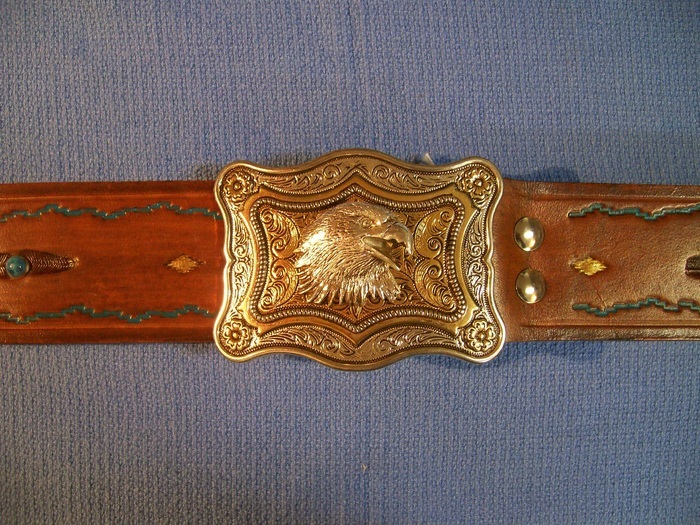 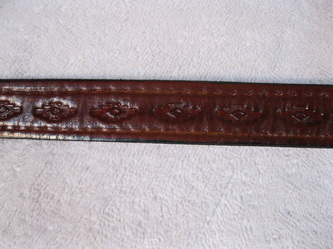 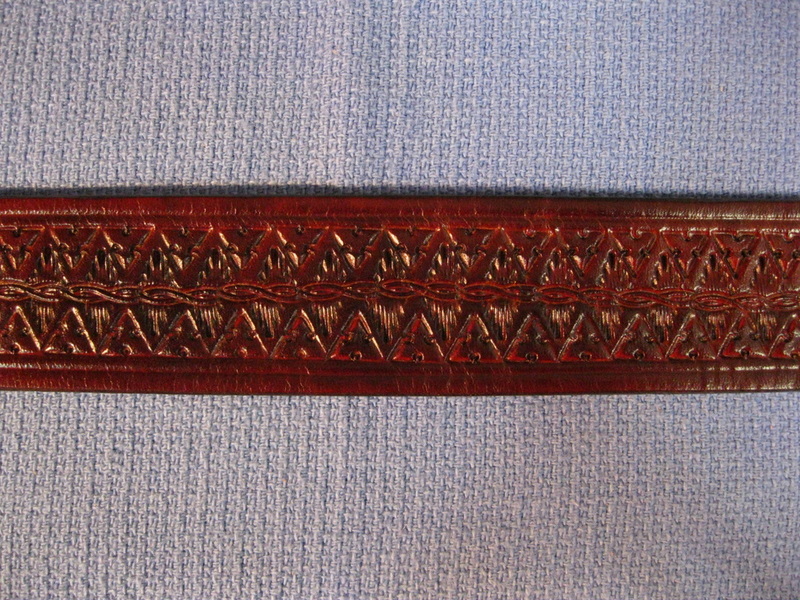 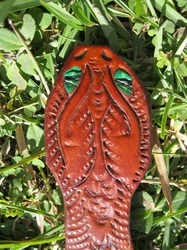 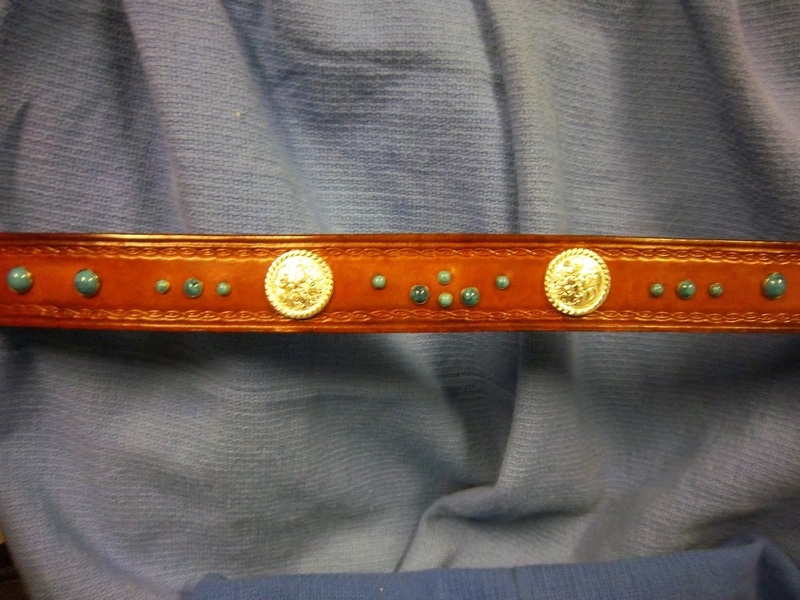 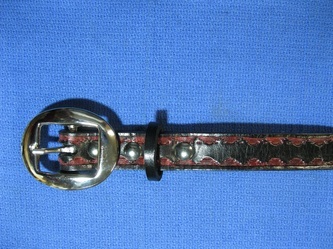 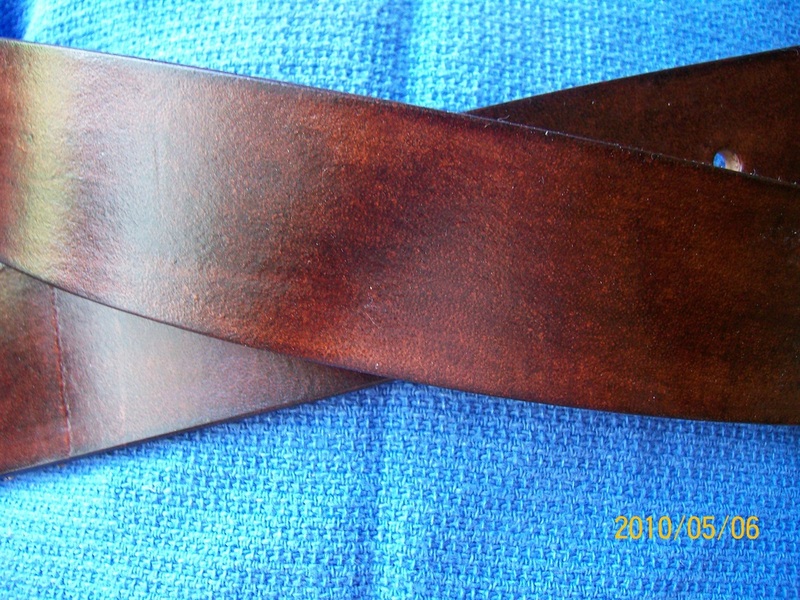 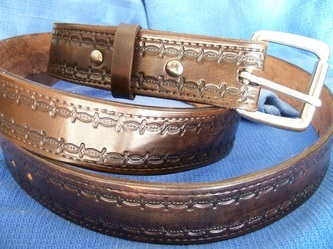 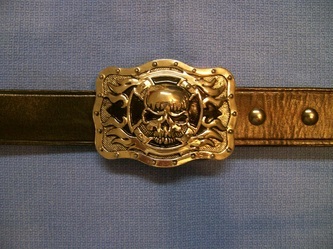 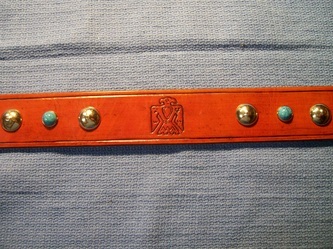 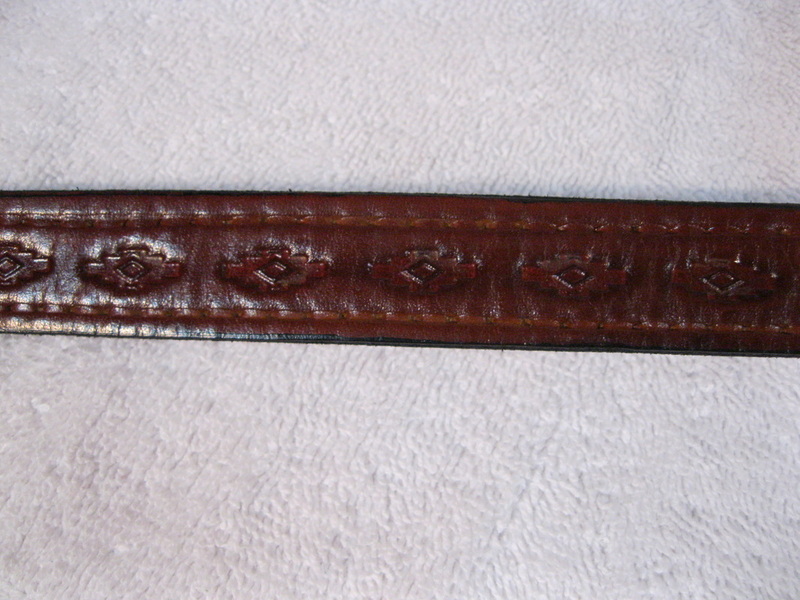 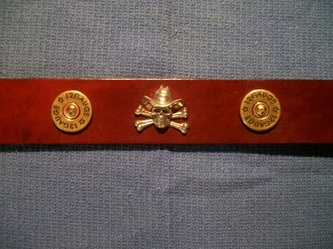 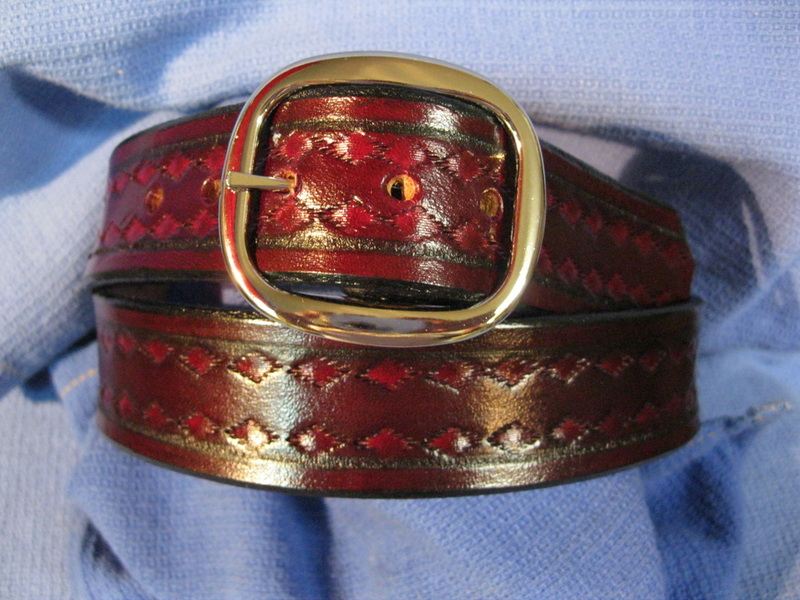 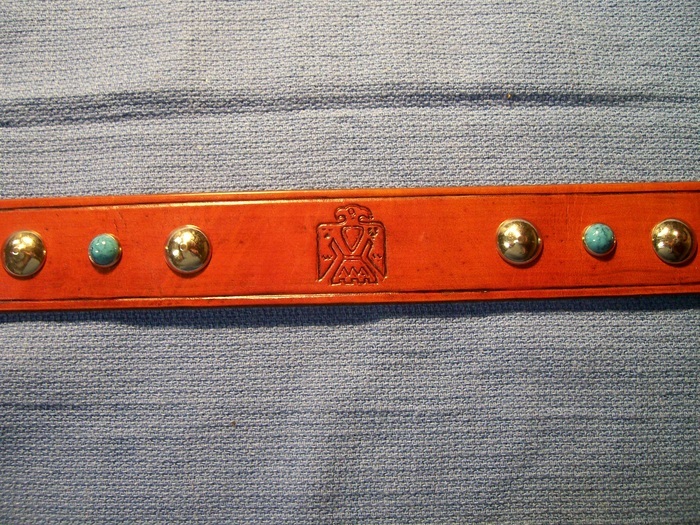 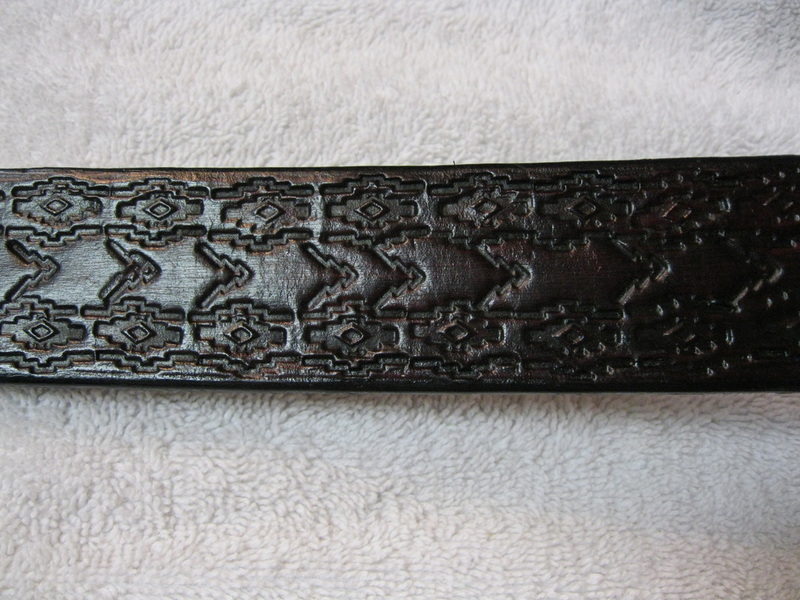 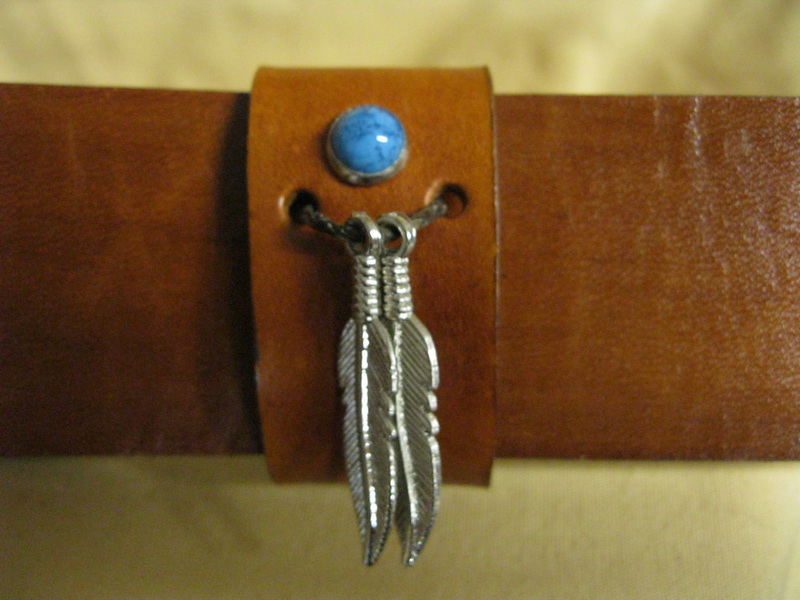 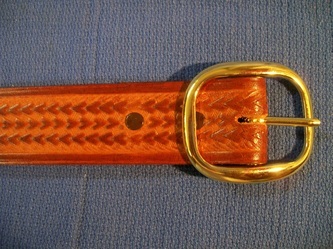 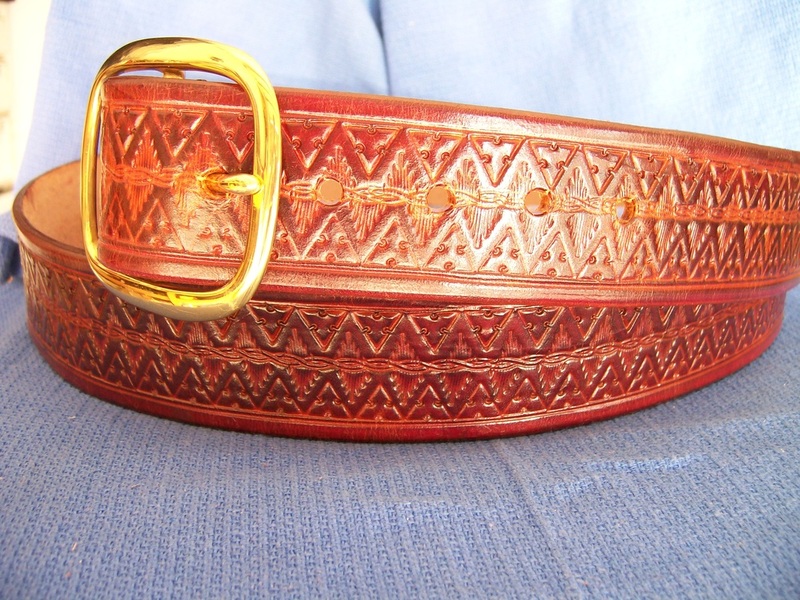 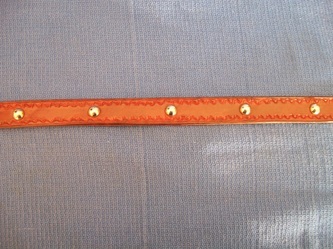 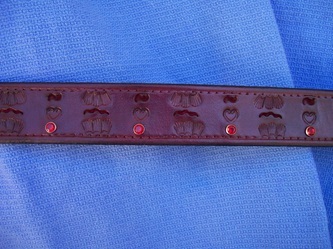 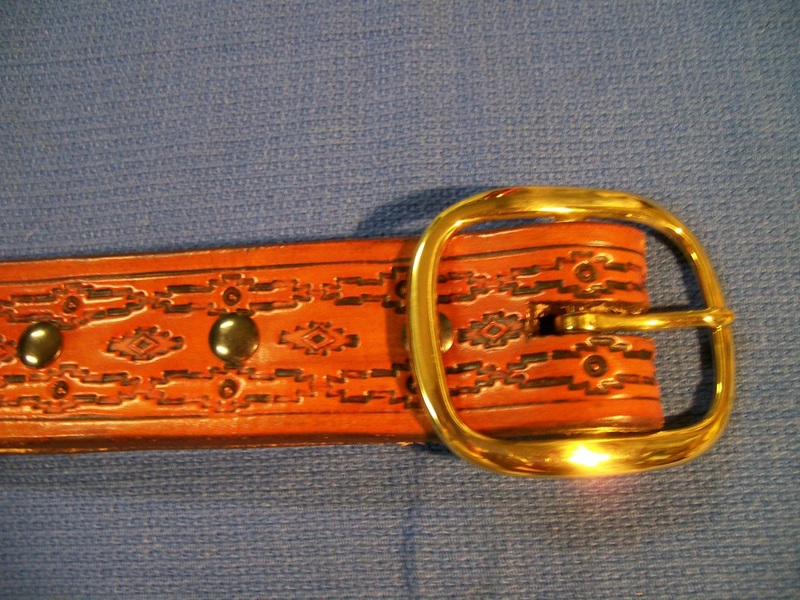 Various ounce leathers, lengths, buckles, and colors are available. 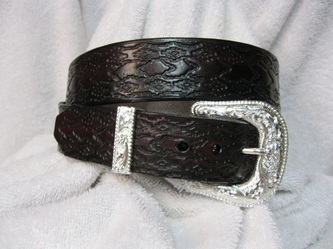 can be added for a very reasonable charge. 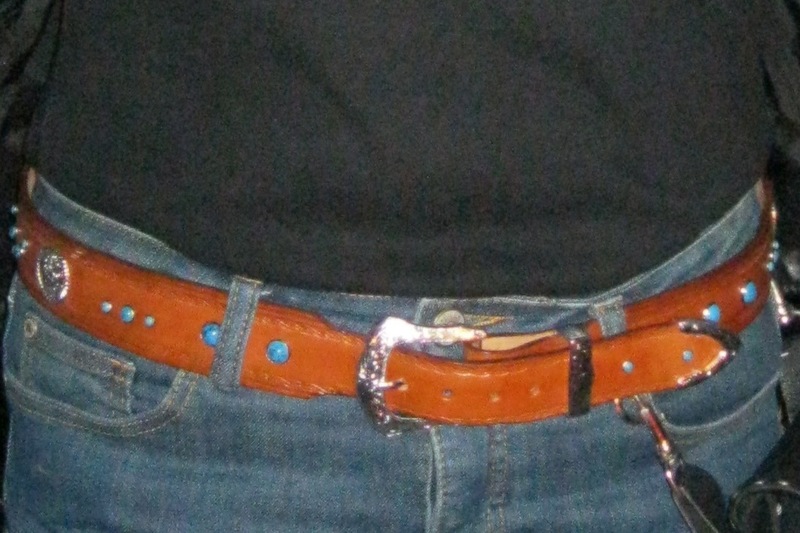 Feel free to call me from 10-5 EST to discuss options. My suppliers' prices have changed over time - funny though, they didn't go down. 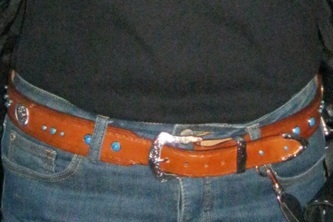 and some embellishments may no longer be available. 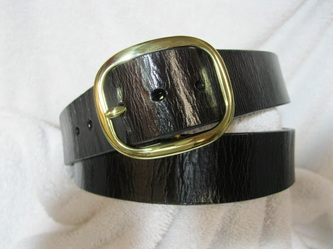 Price: $61. 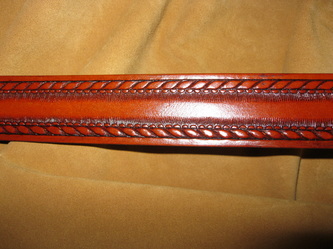 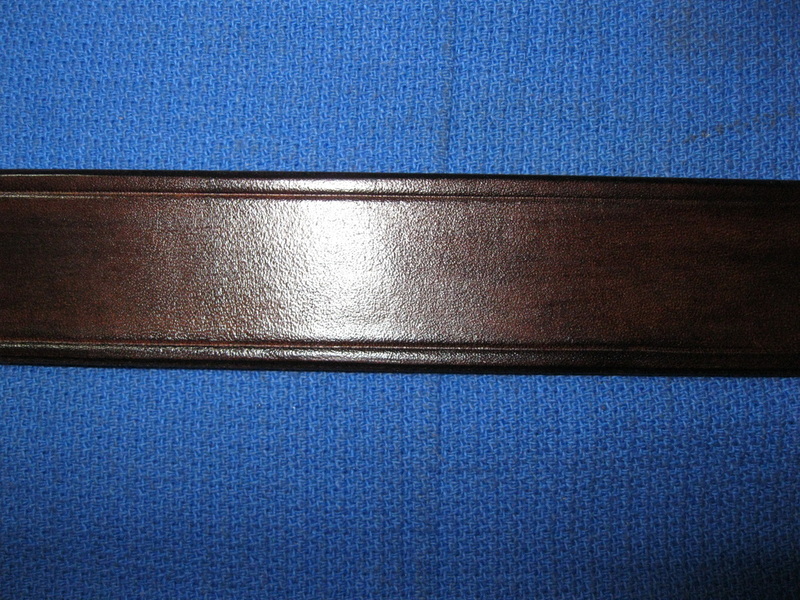 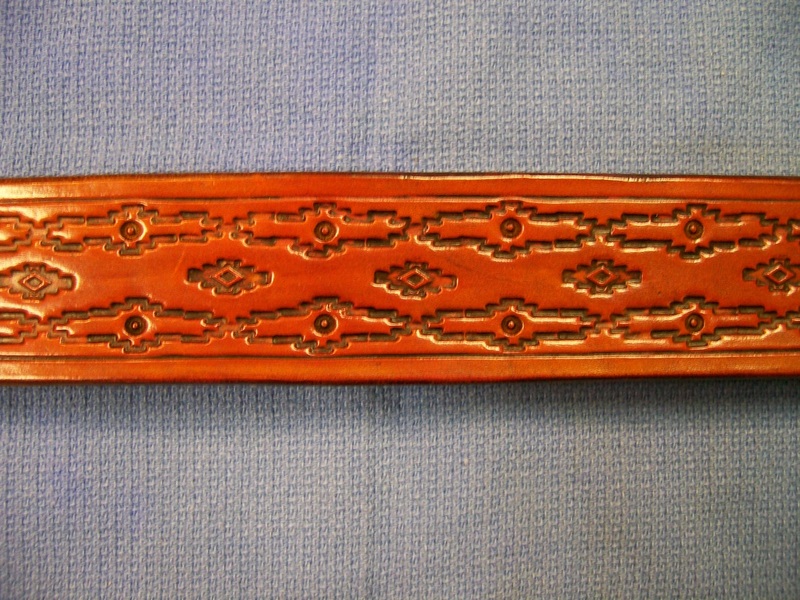 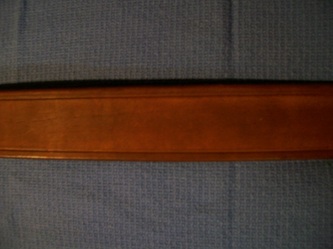 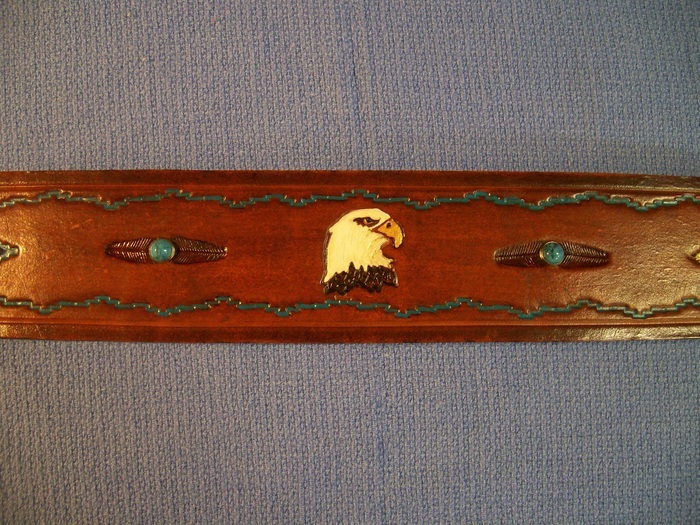 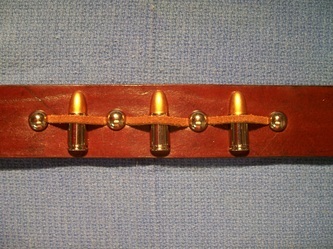 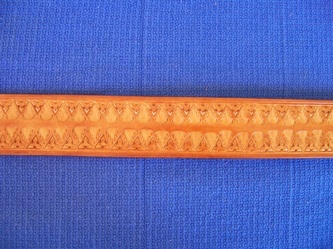 1 1/2" W x up to 42"
Price: $65. 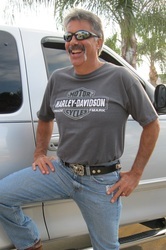 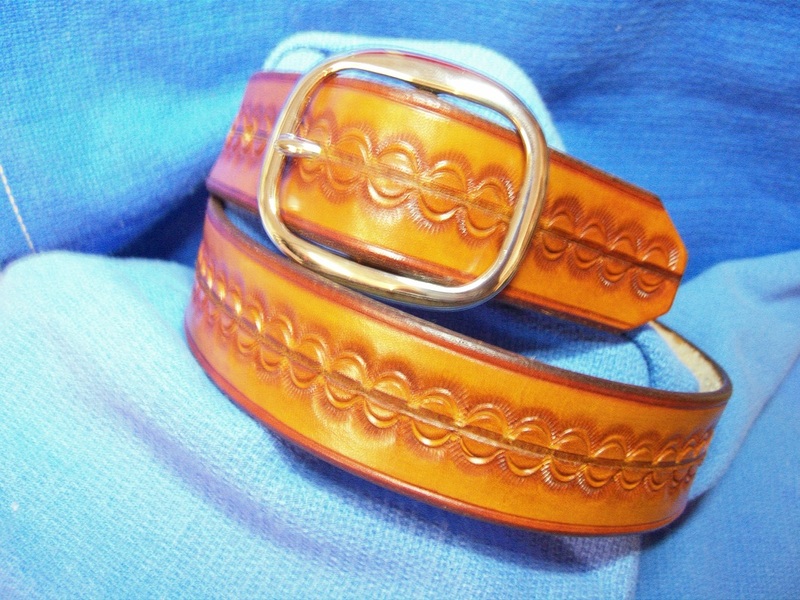 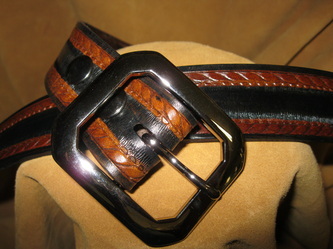 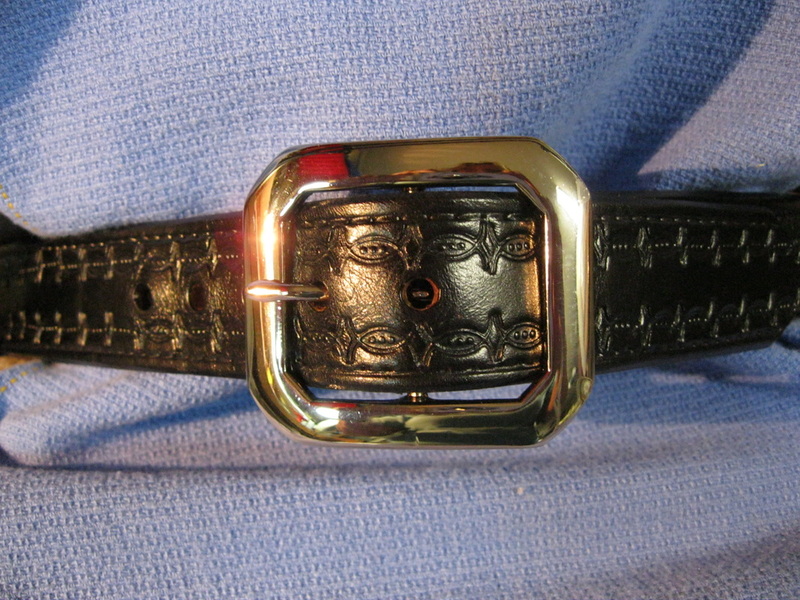 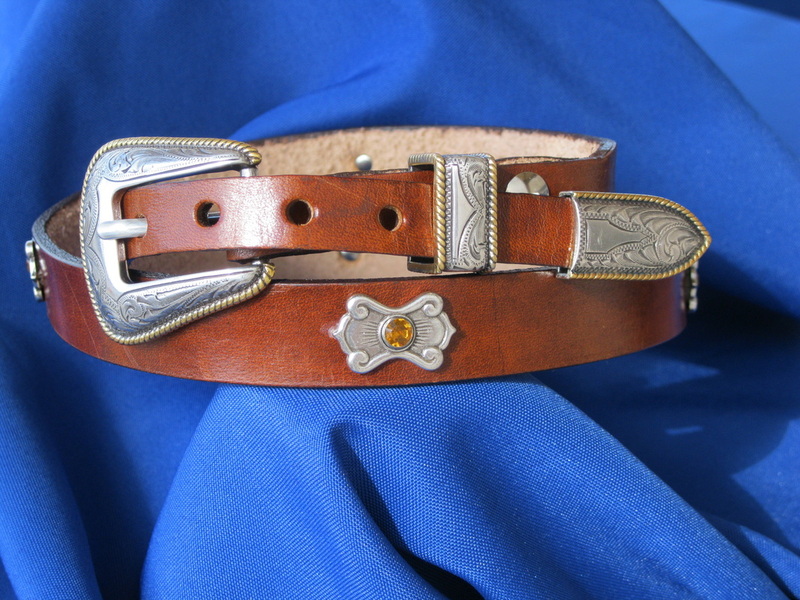 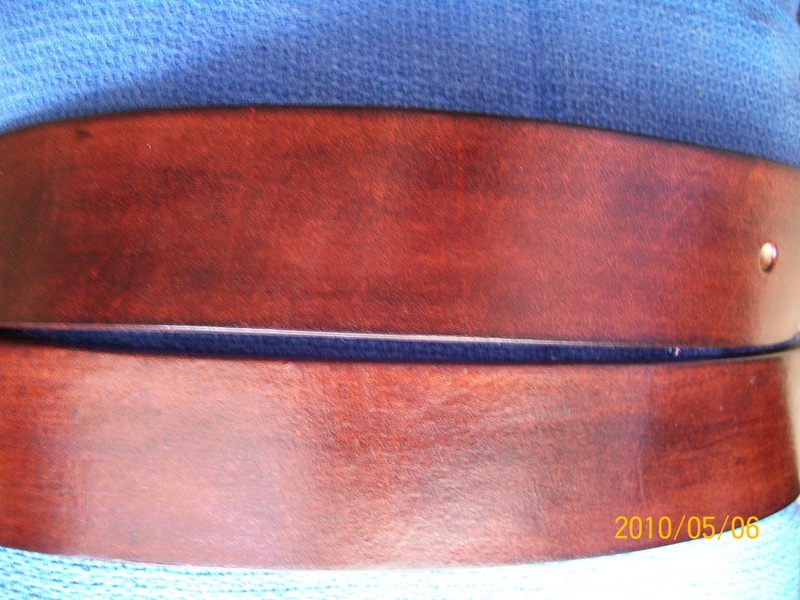 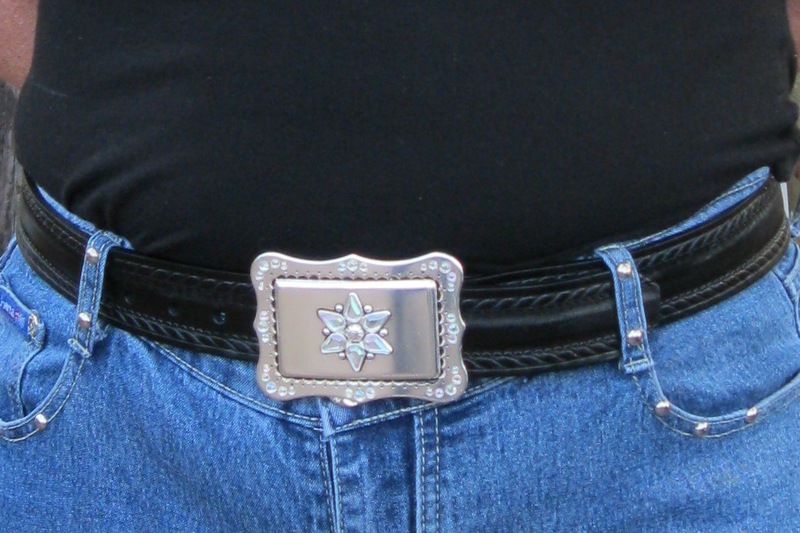 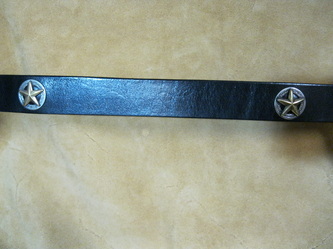 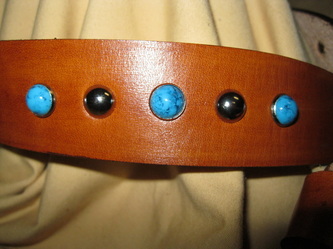 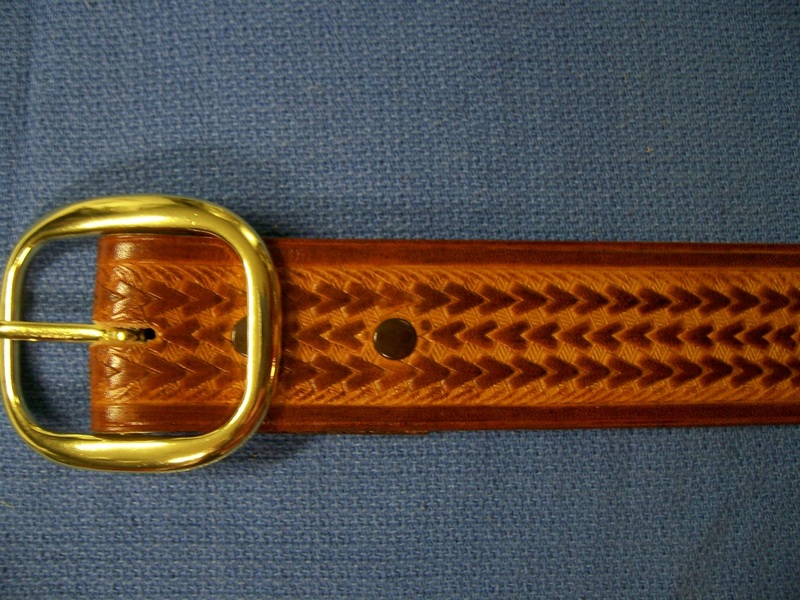 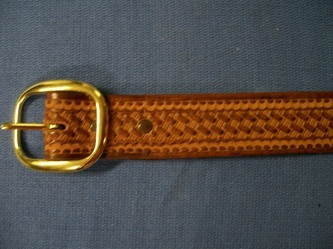 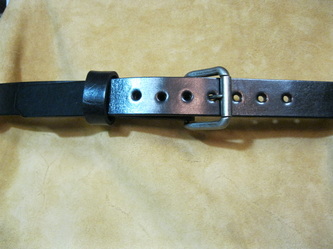 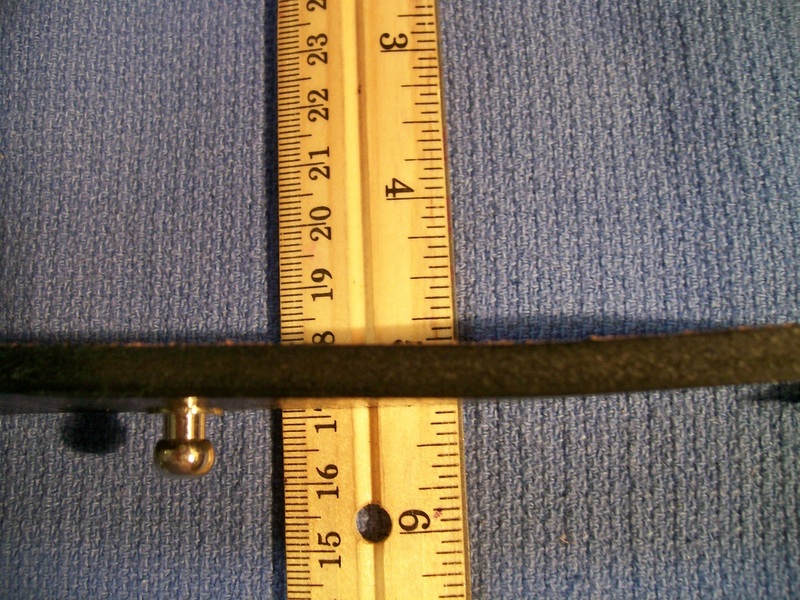 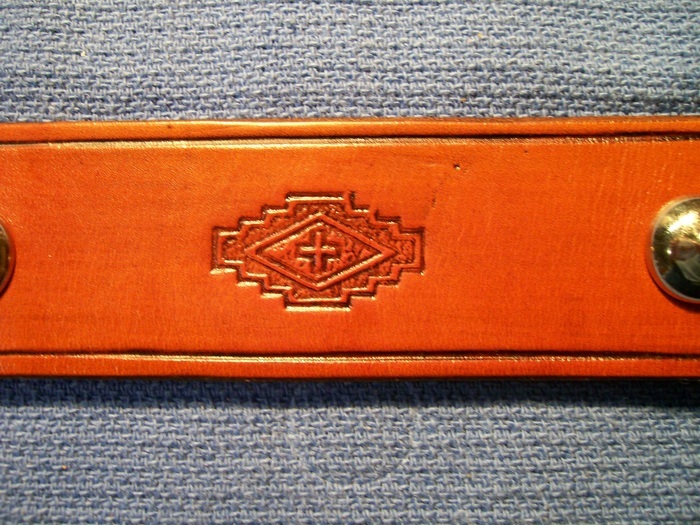 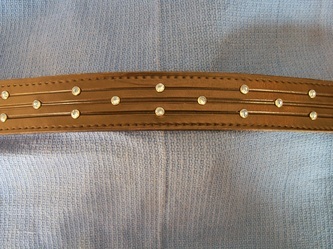 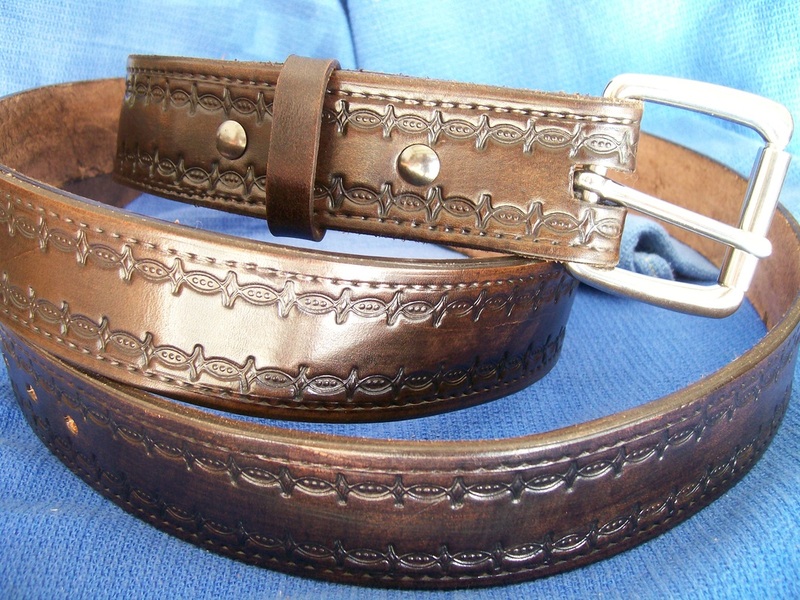 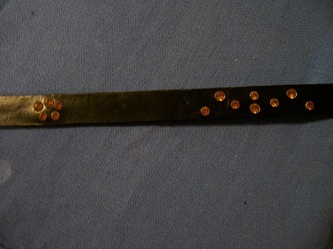 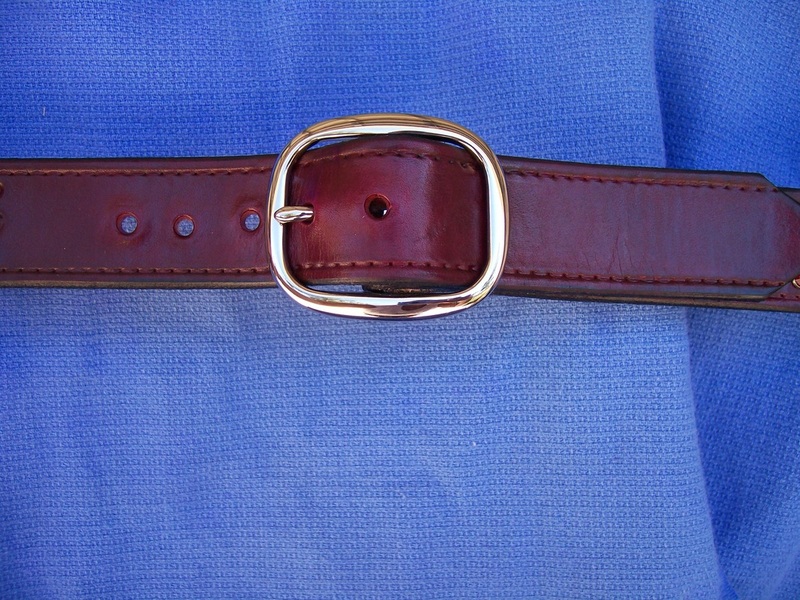 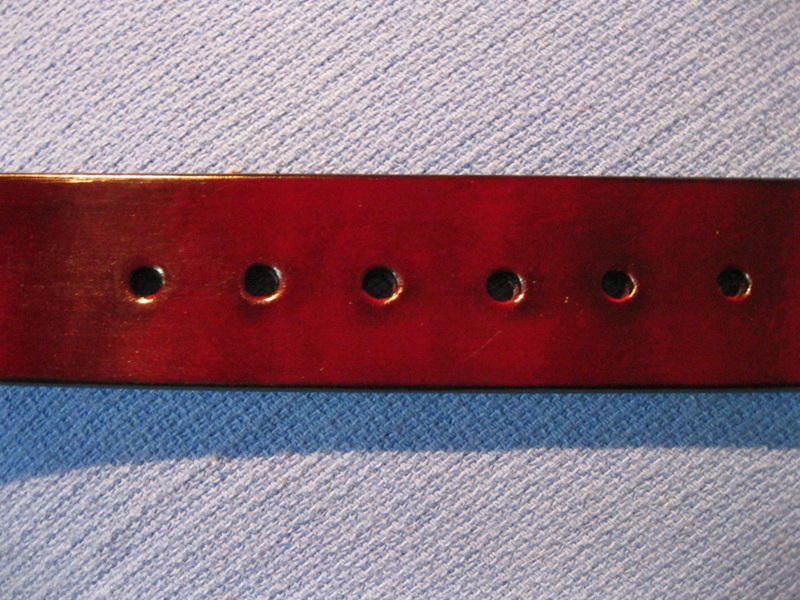 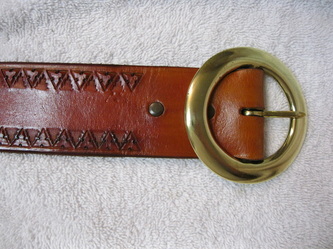 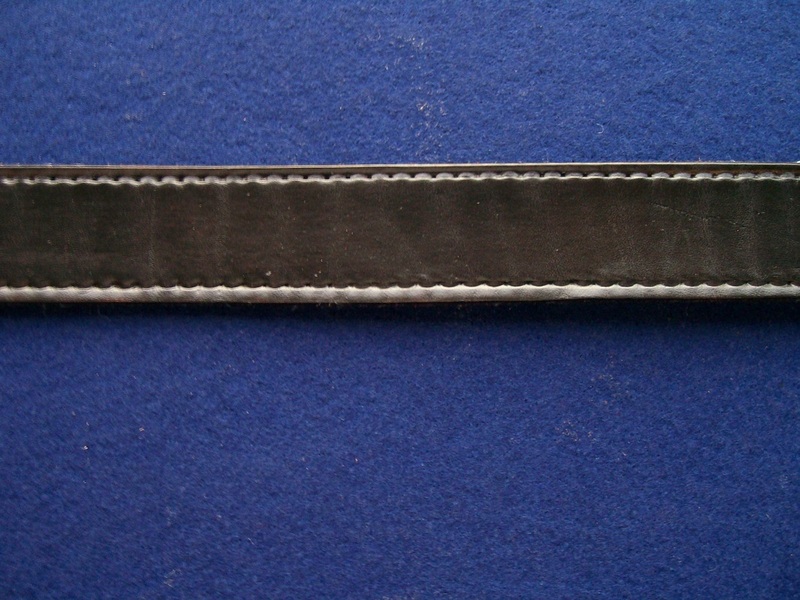 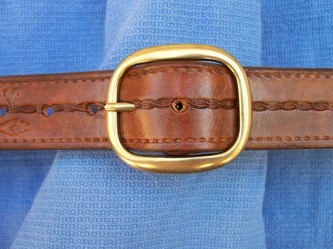 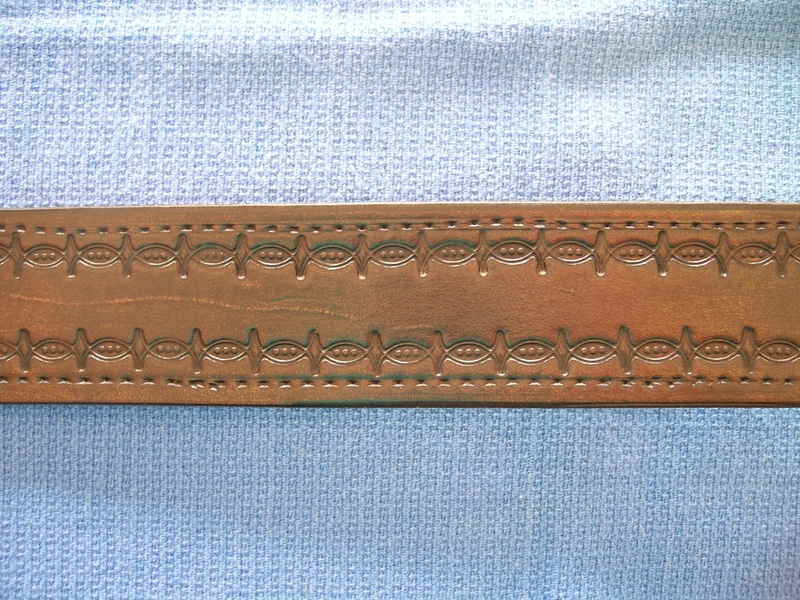 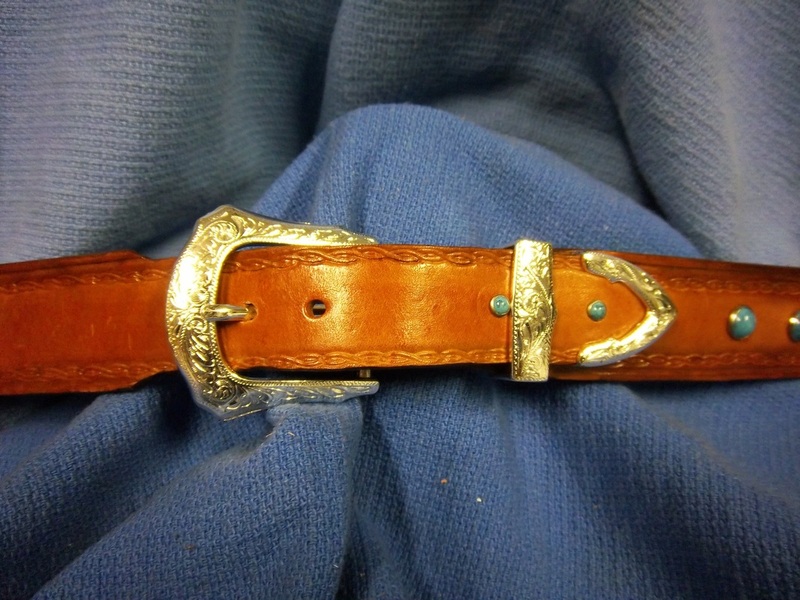 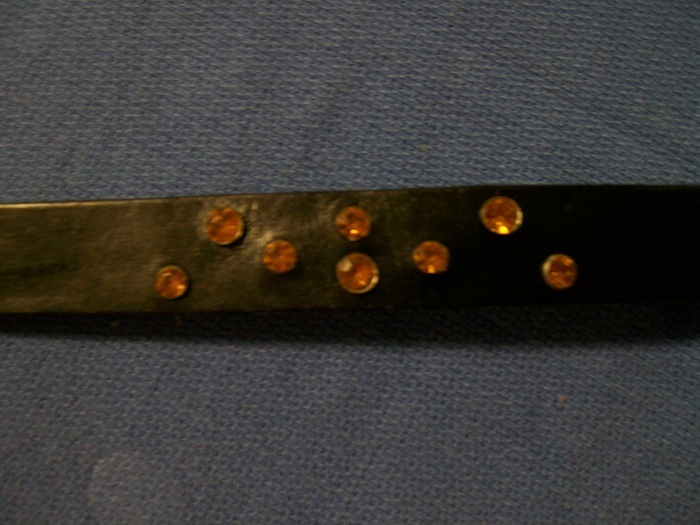 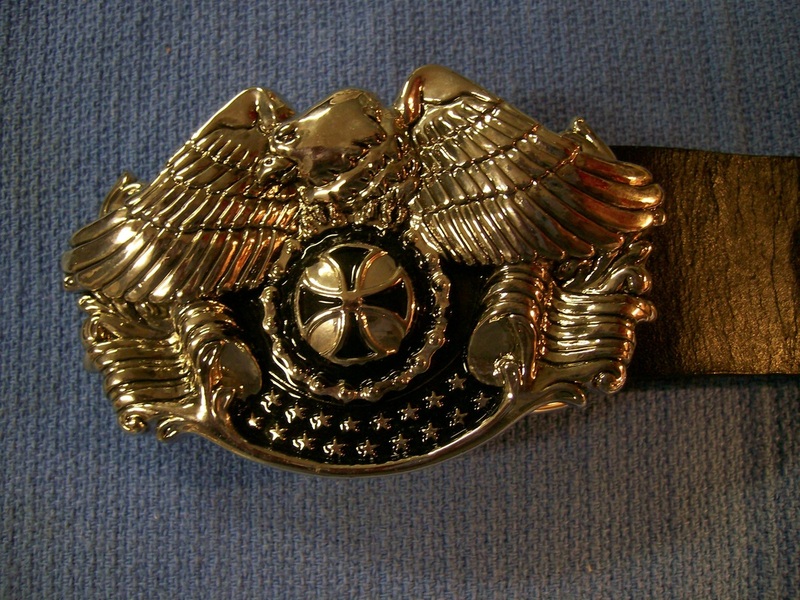 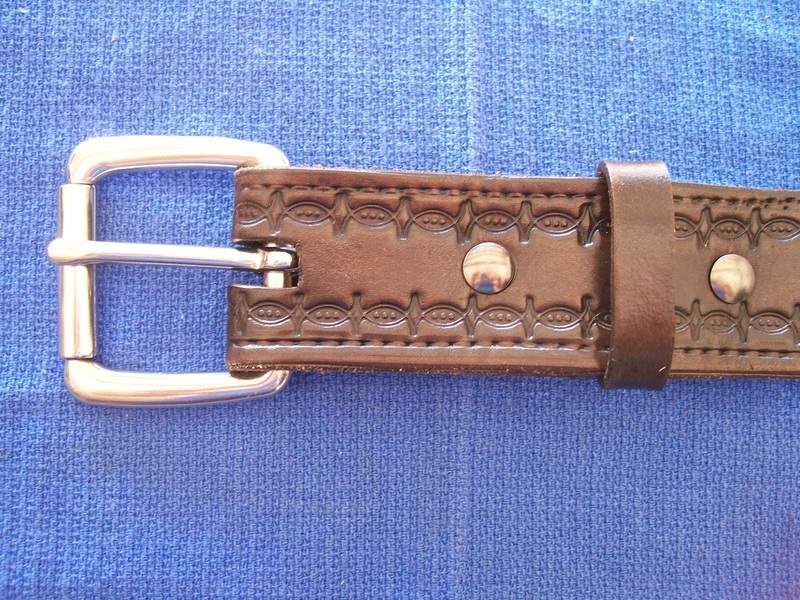 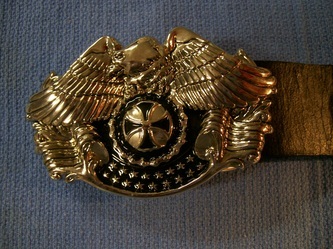 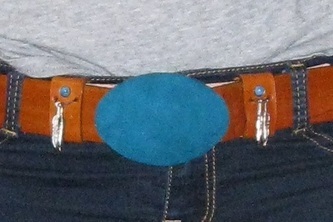 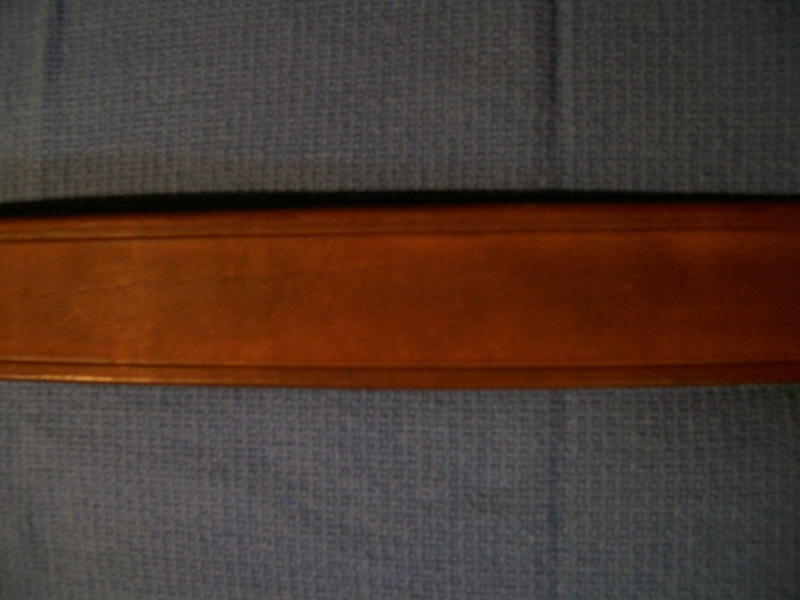 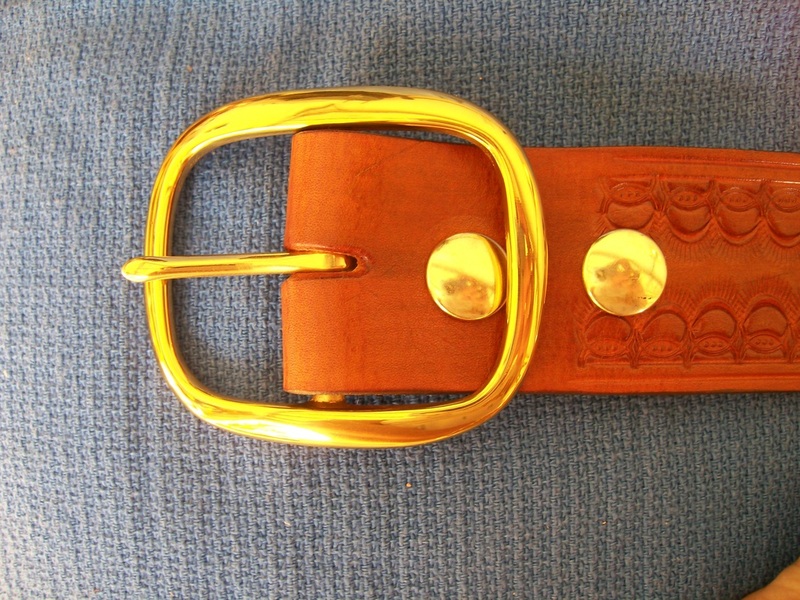 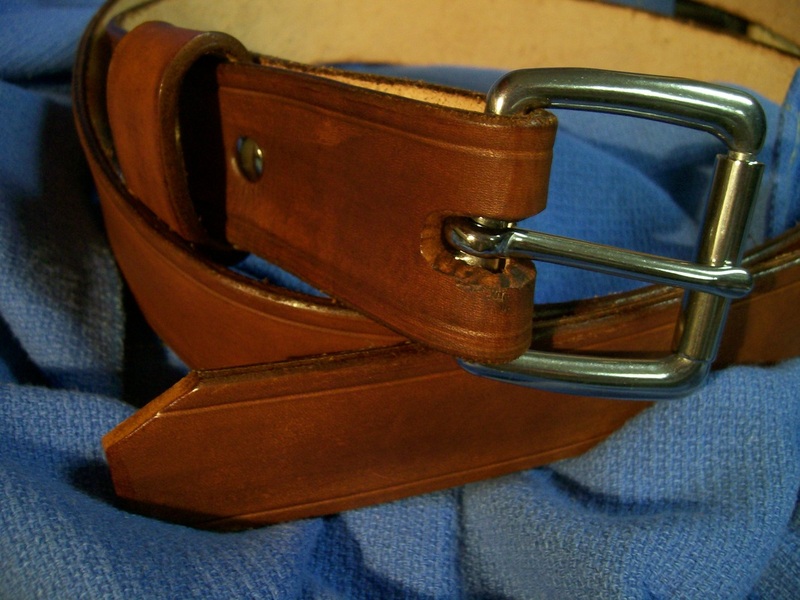 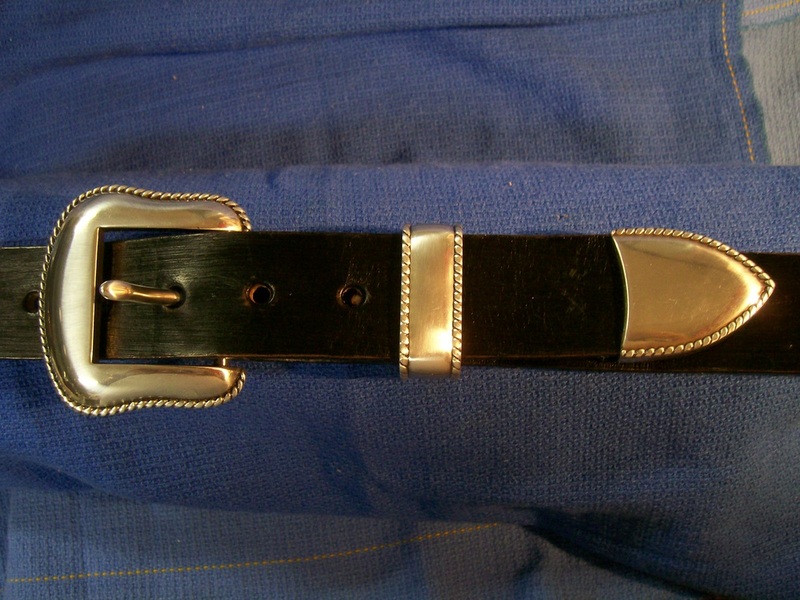 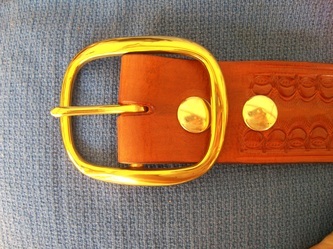 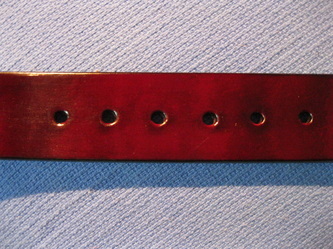 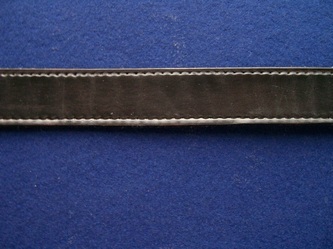 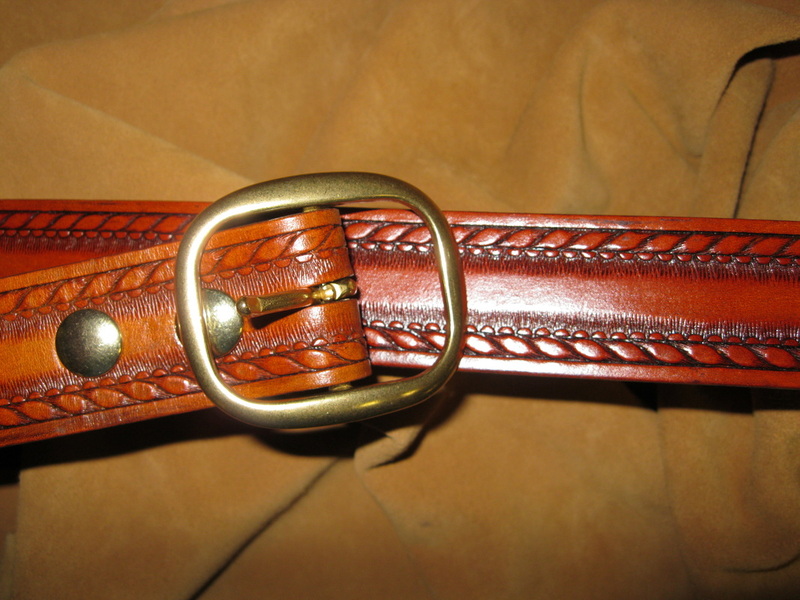 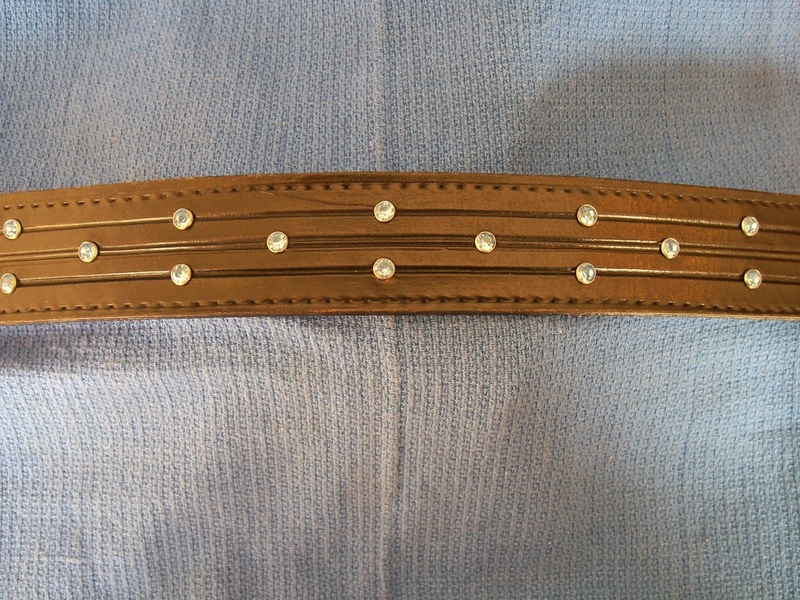 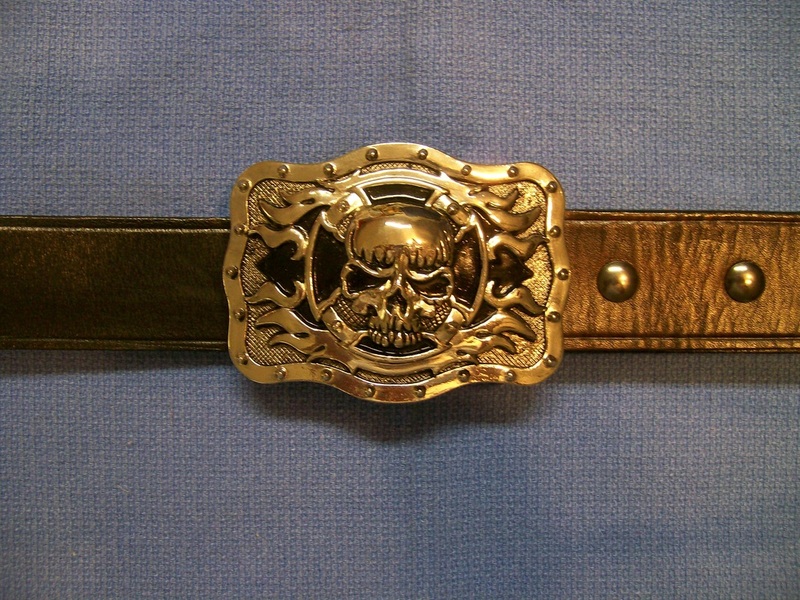 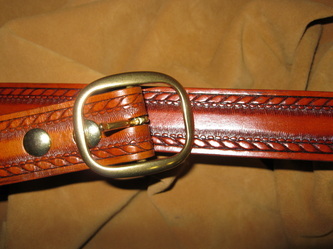 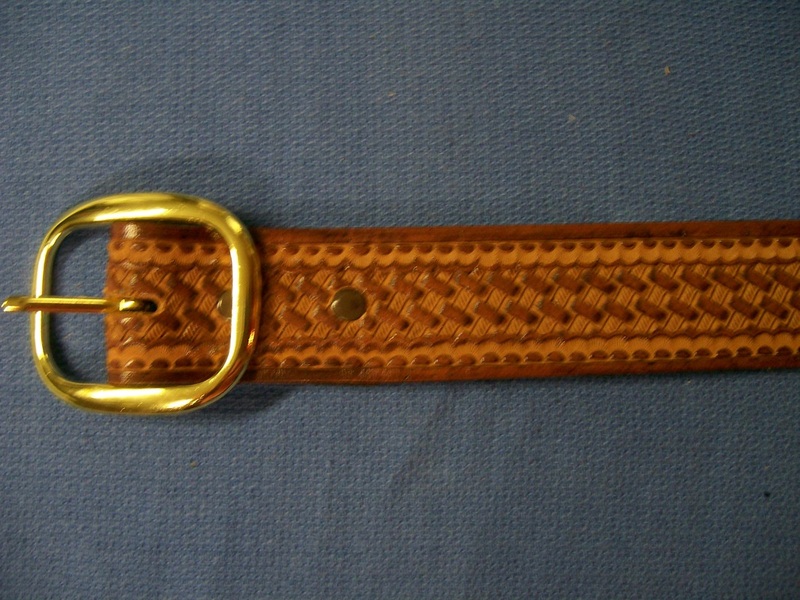 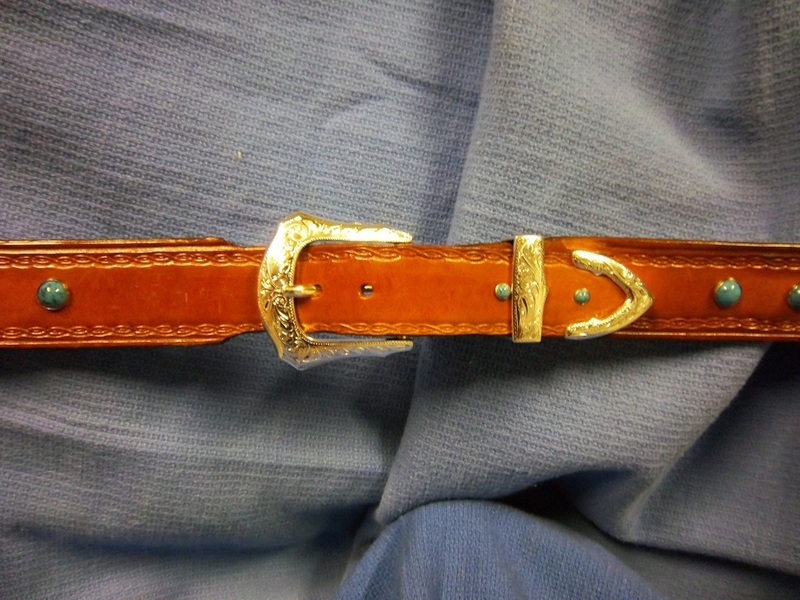 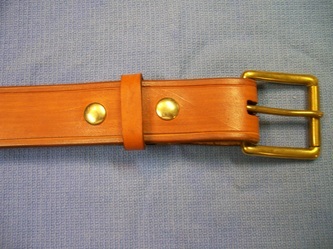 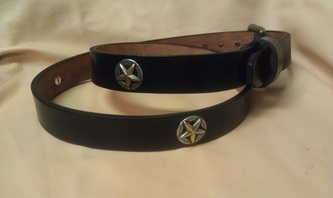 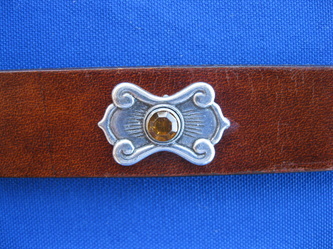 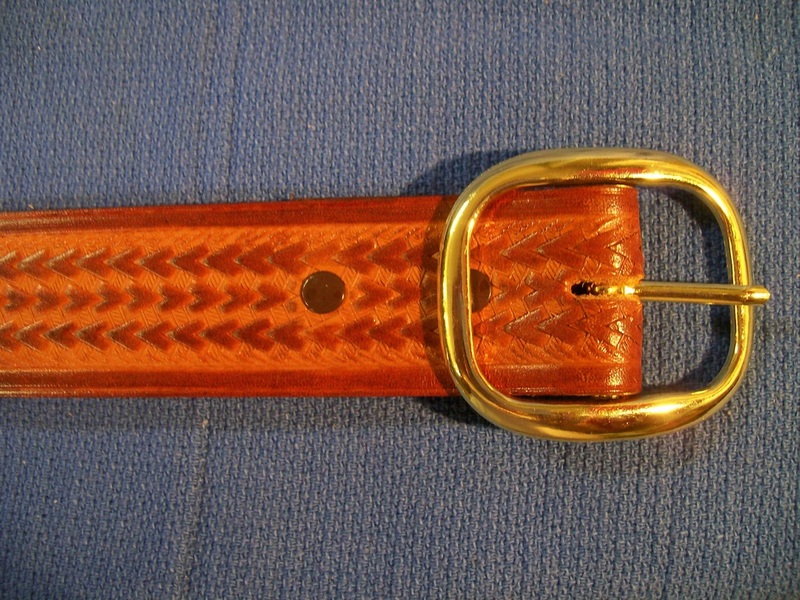 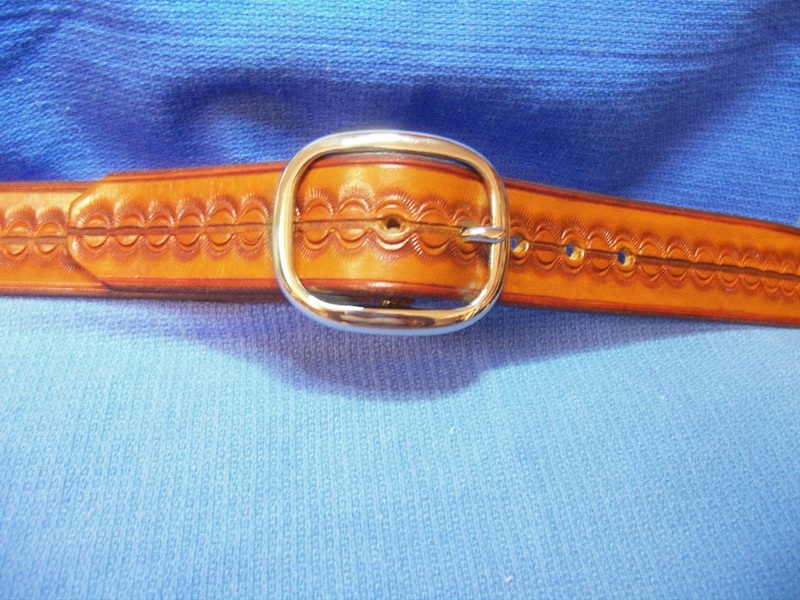 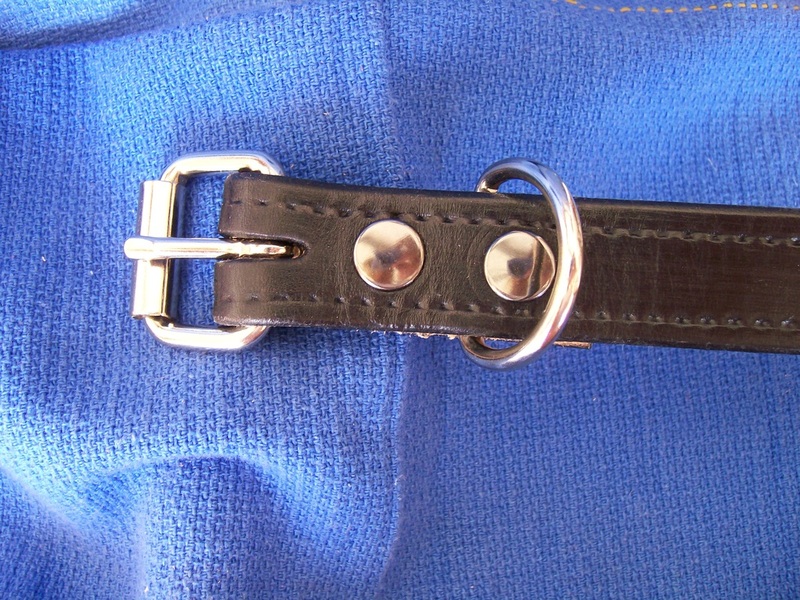 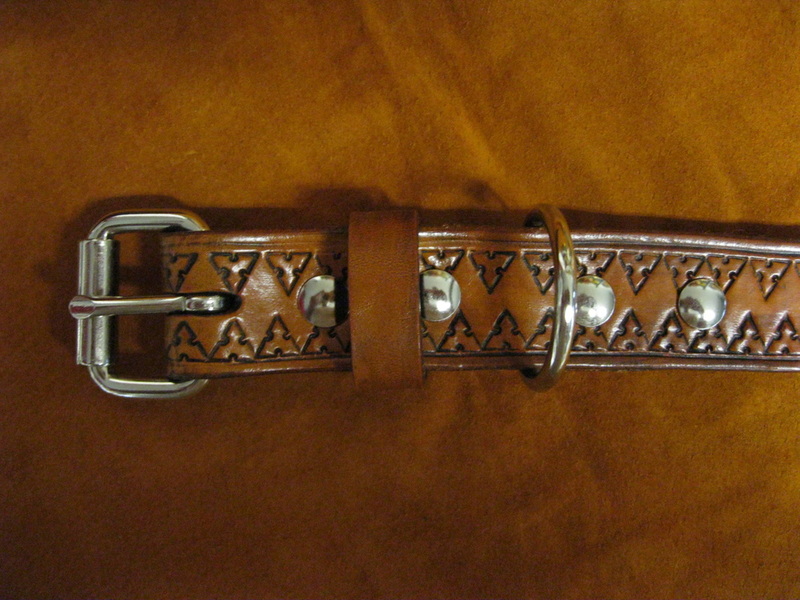 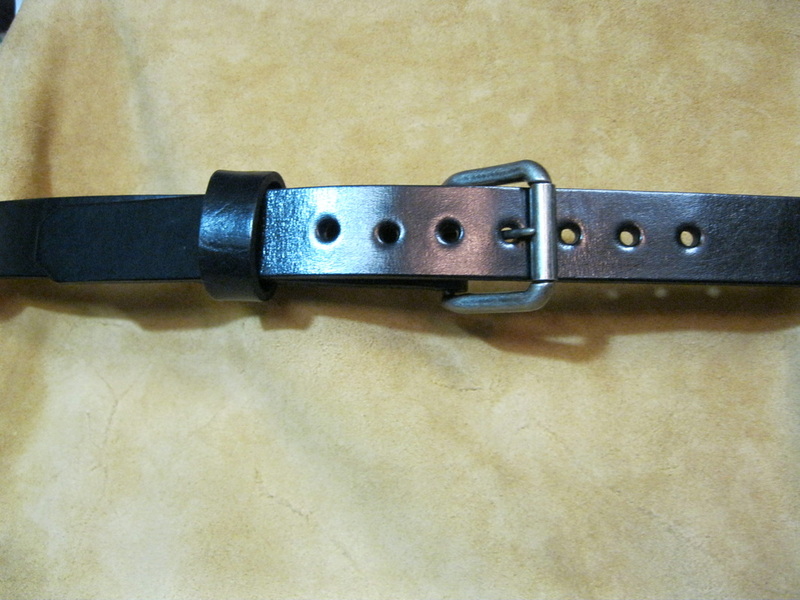 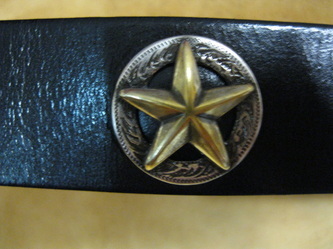 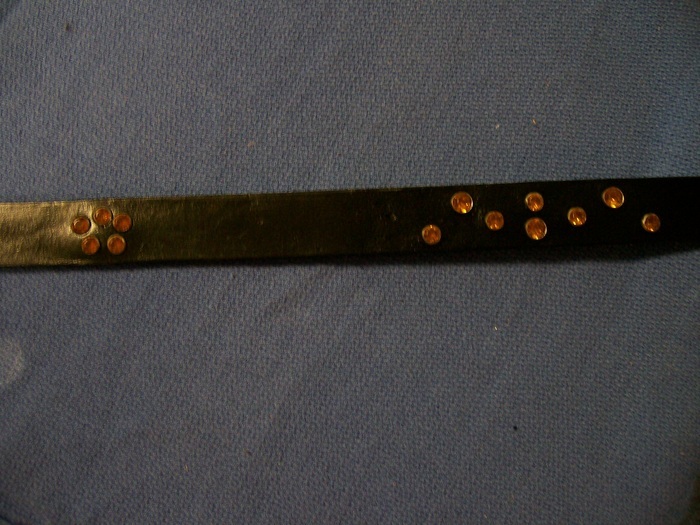 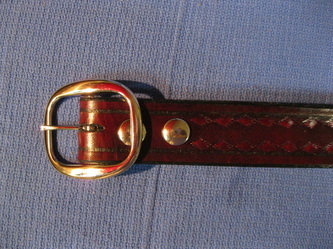 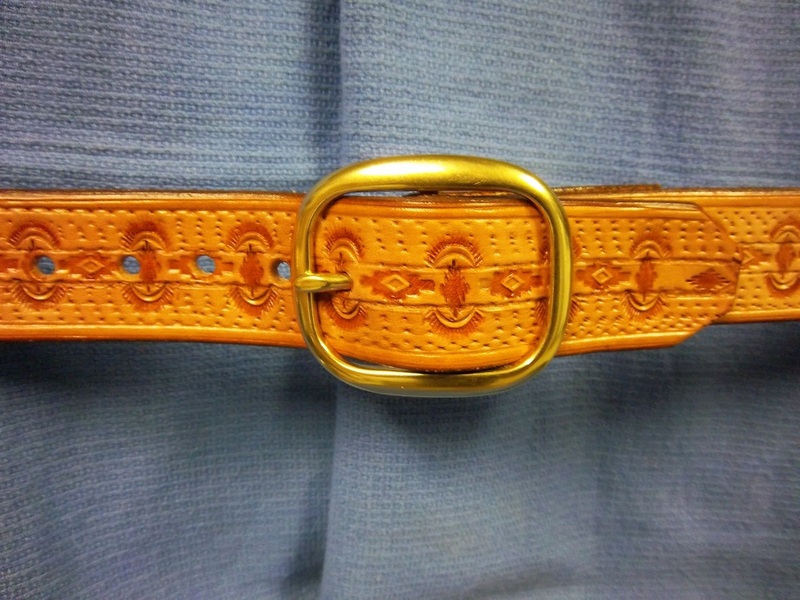 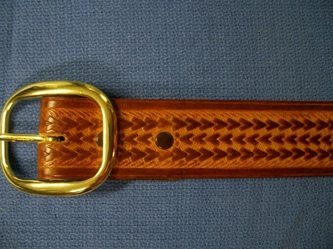 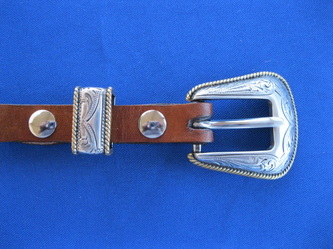 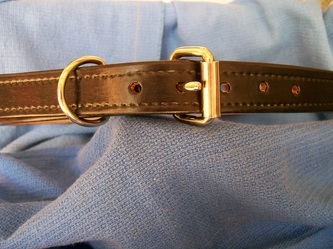 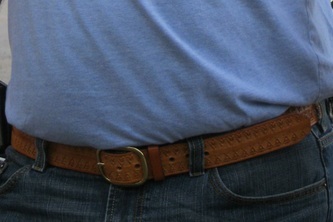 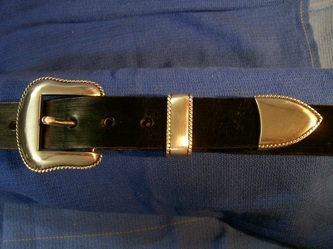 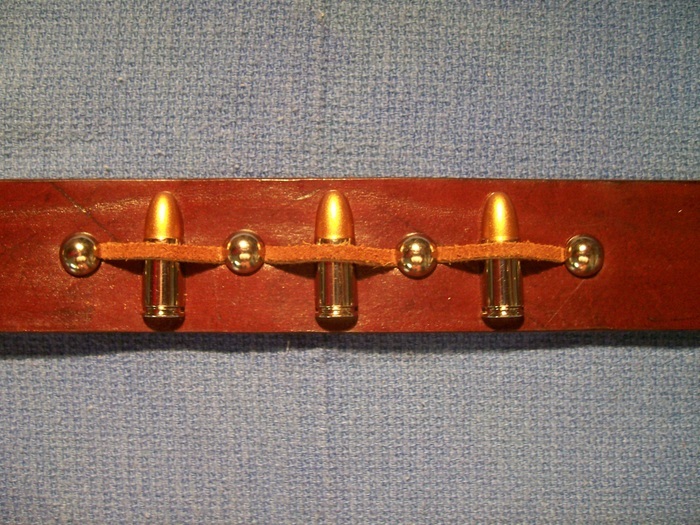 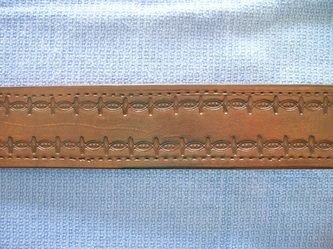 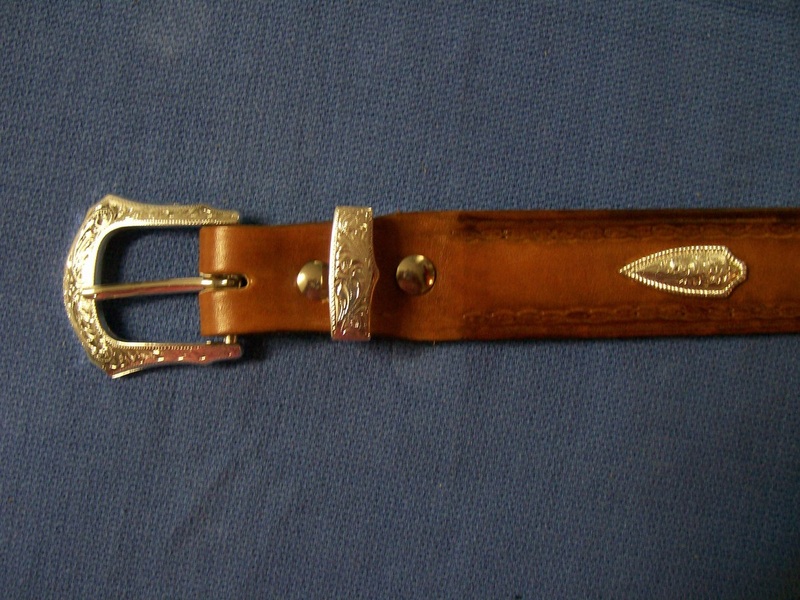 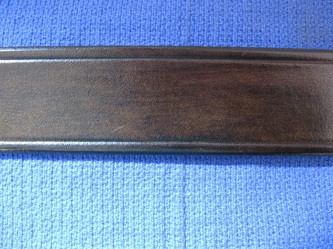 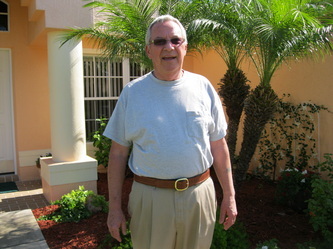 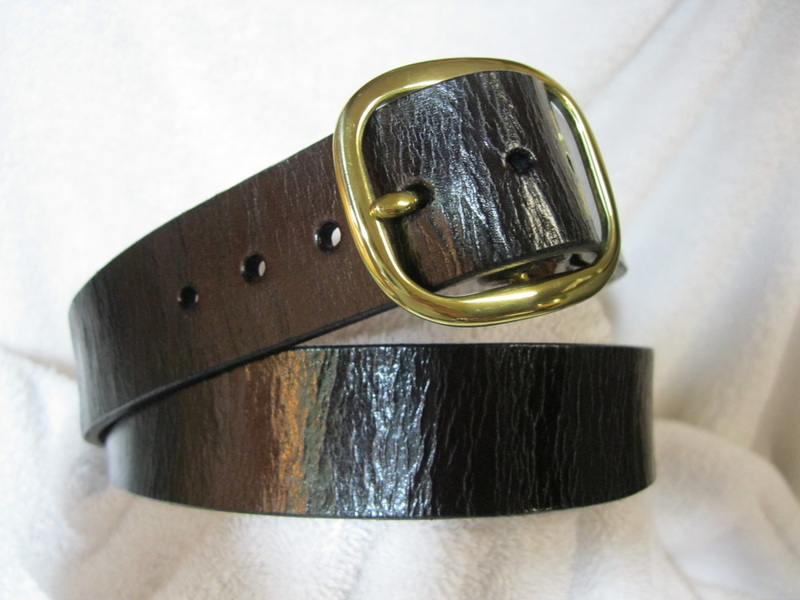 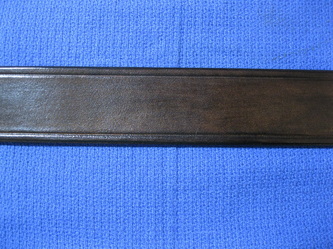 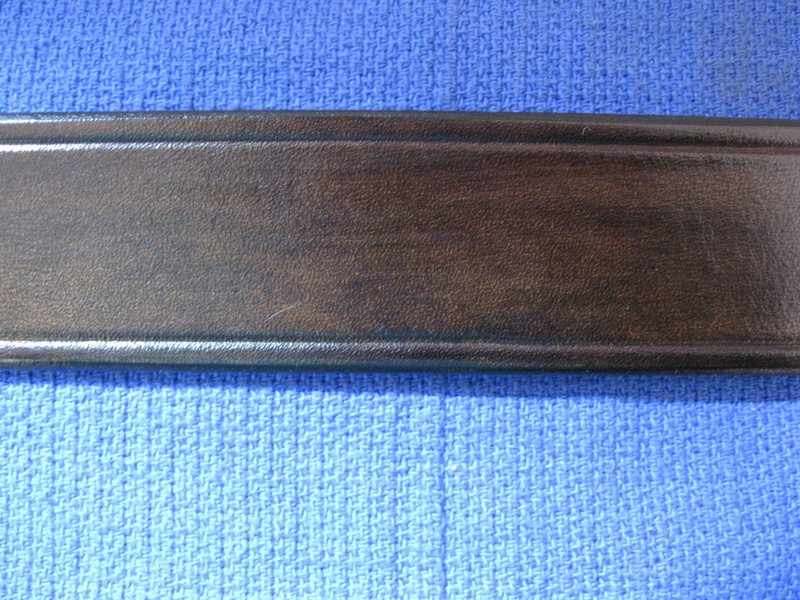 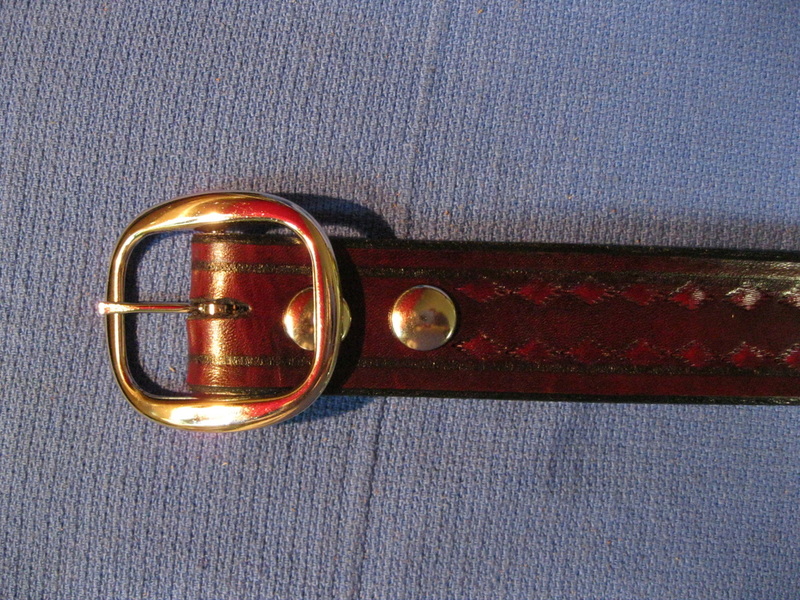 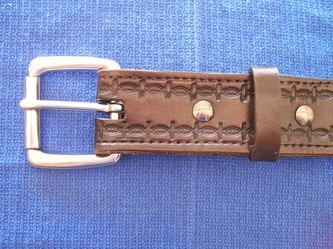 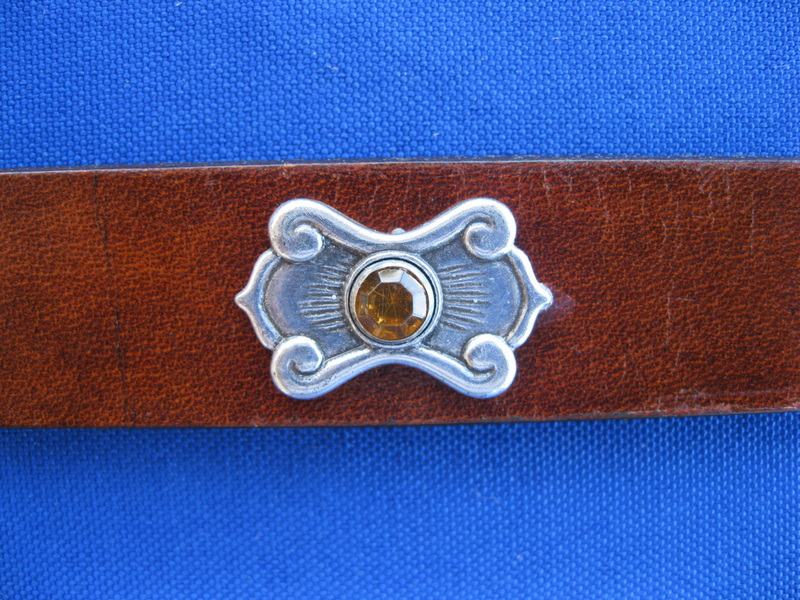 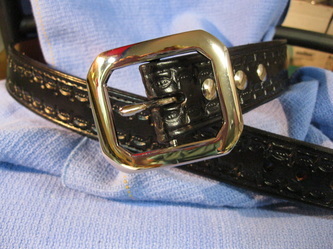 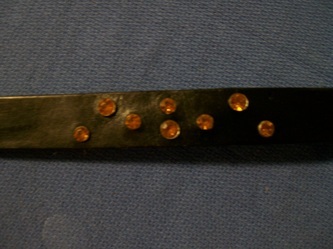 Belt has double adjustable slides behind the buckle in the front allowing an increase or decrease in belt length while keeping the studs aligned in the center back and sides. 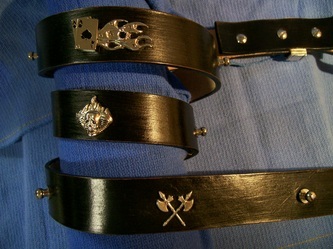 NOTE: Arrows have been discontinued; however, I may have a few on hand.